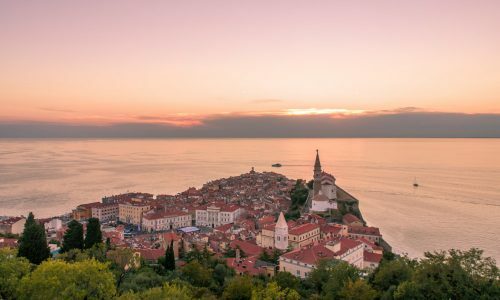 Slovenia is a hidden gem of Europe that is often overlooked by travellers despite its many attractions. 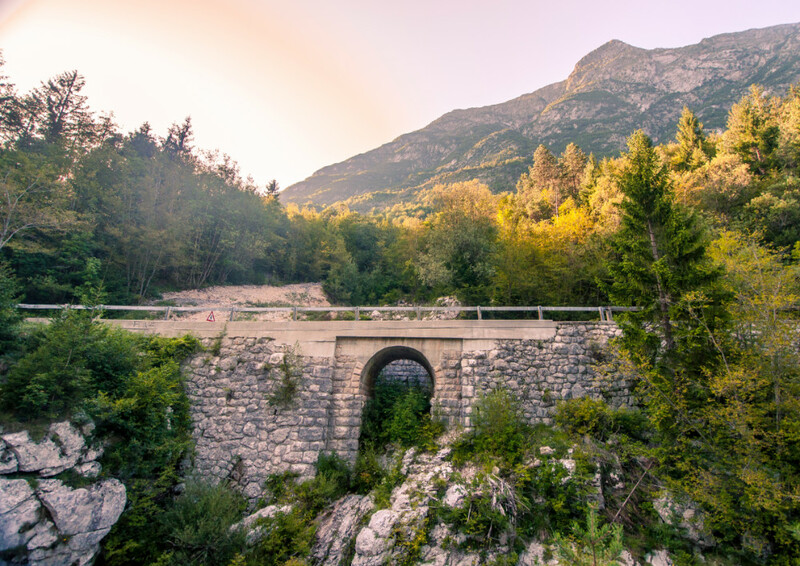 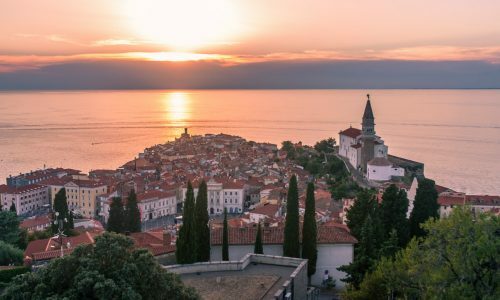 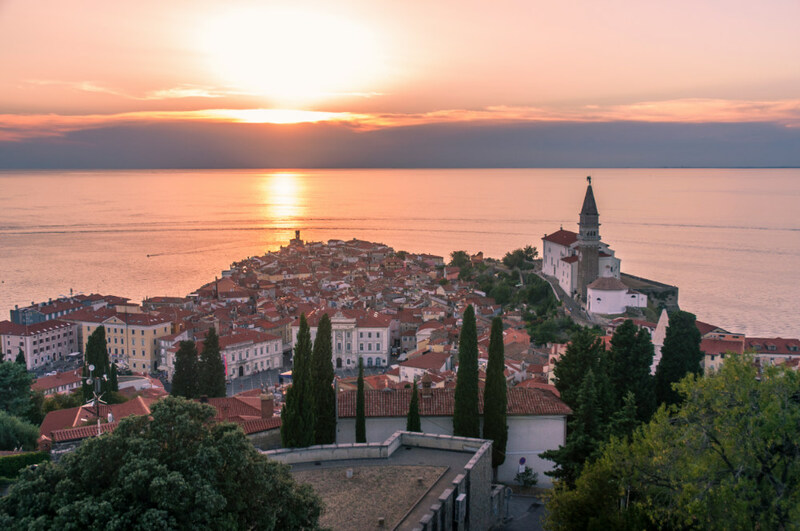 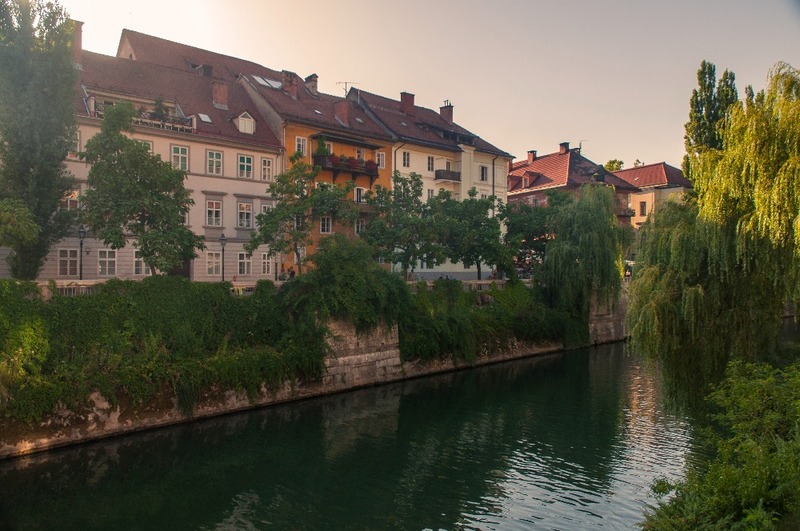 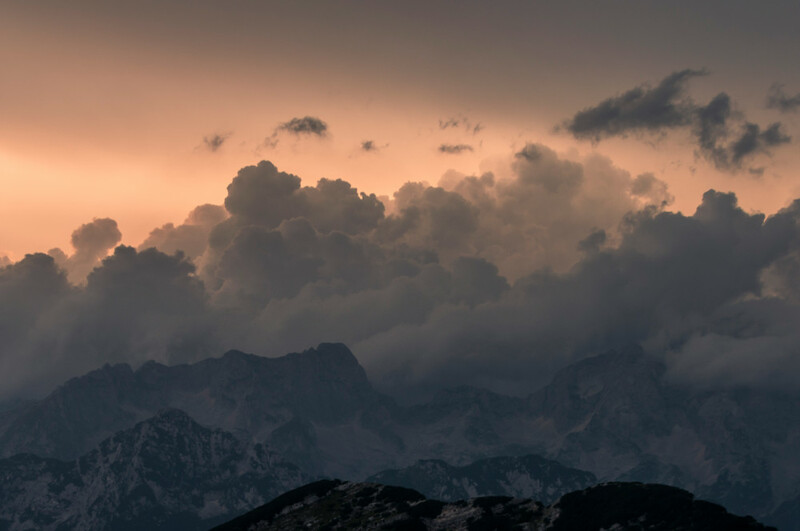 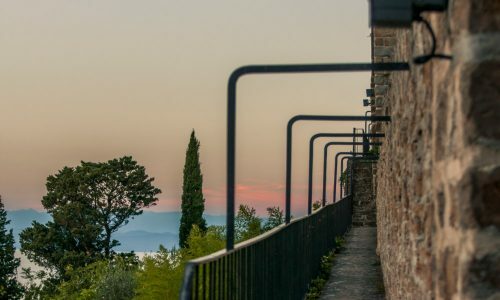 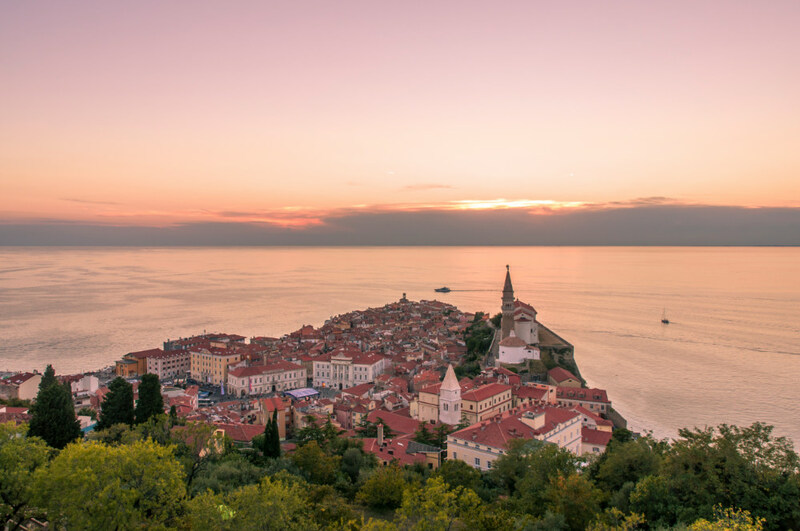 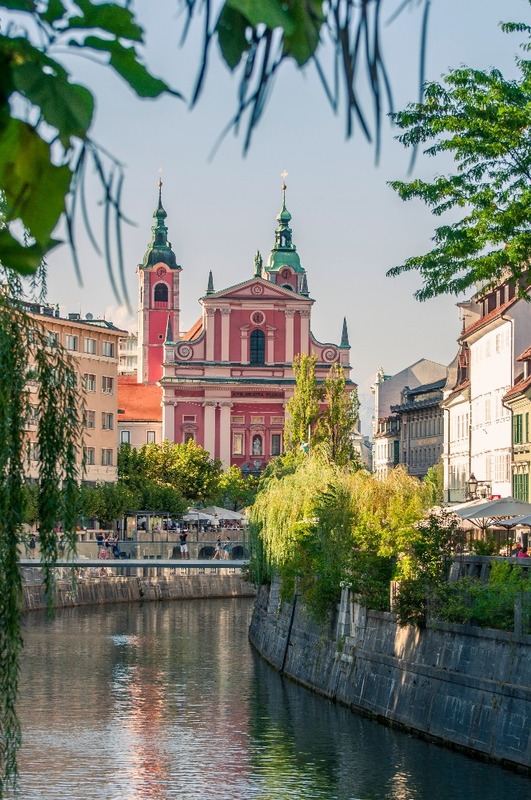 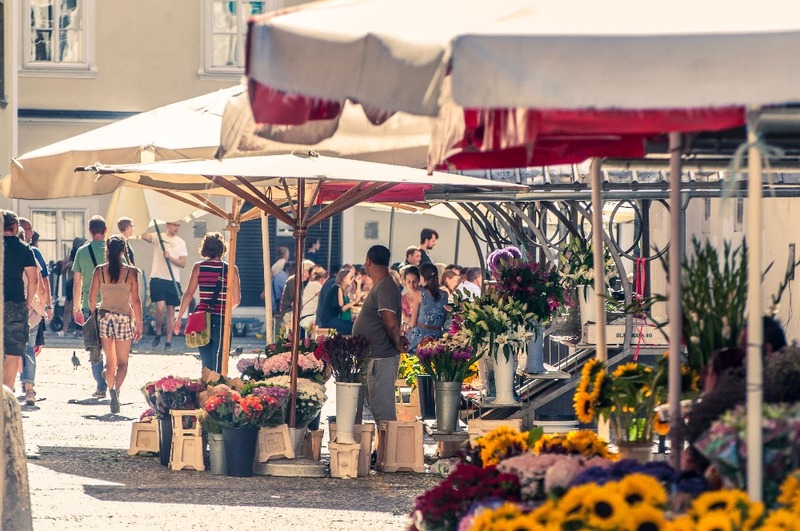 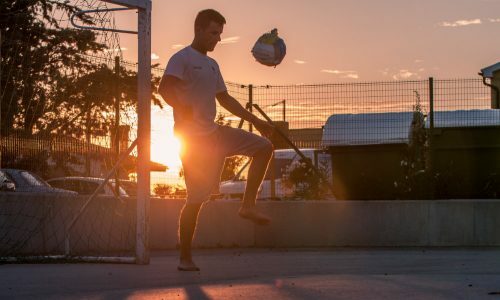 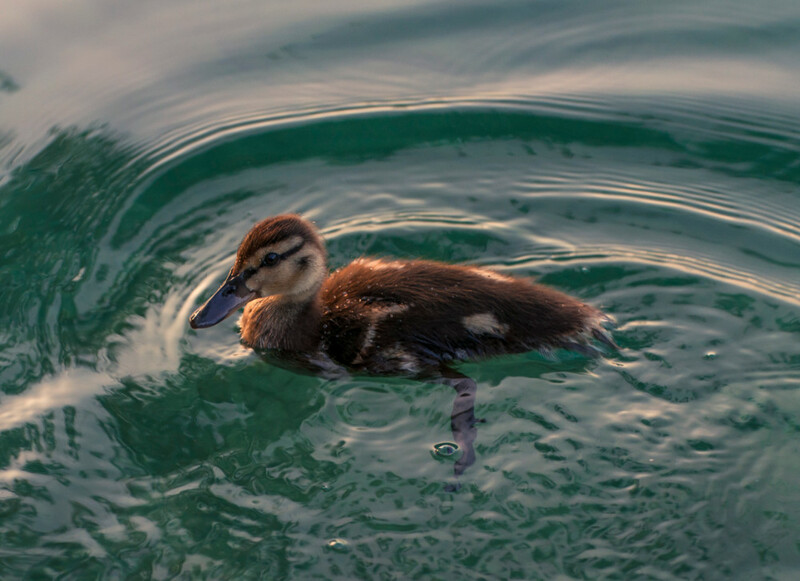 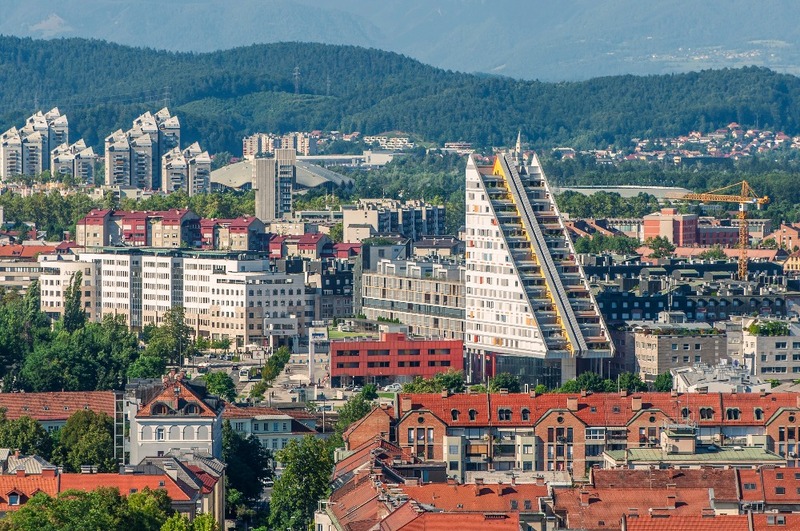 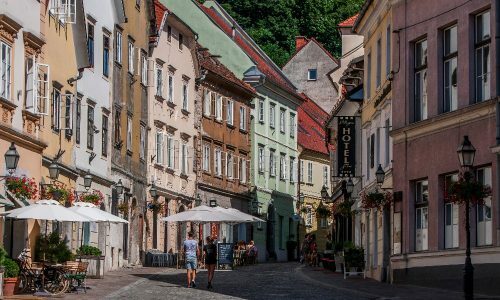 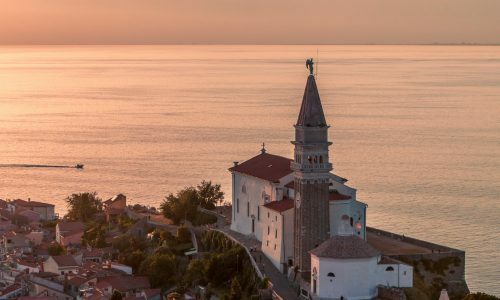 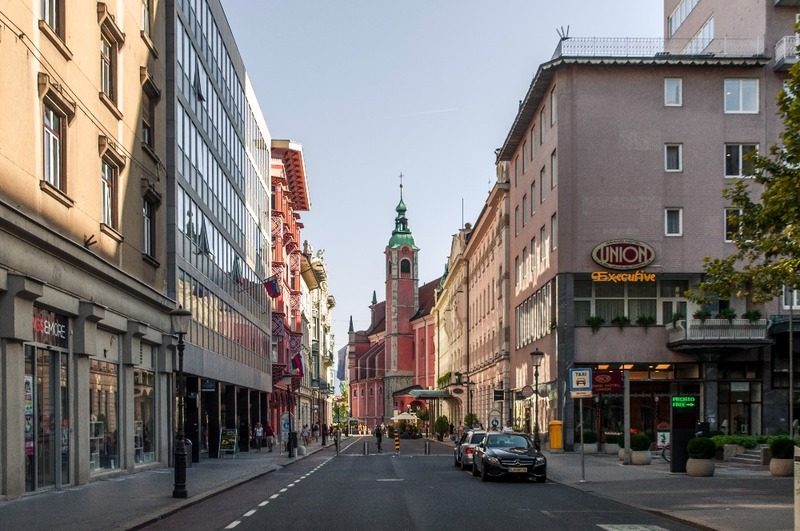 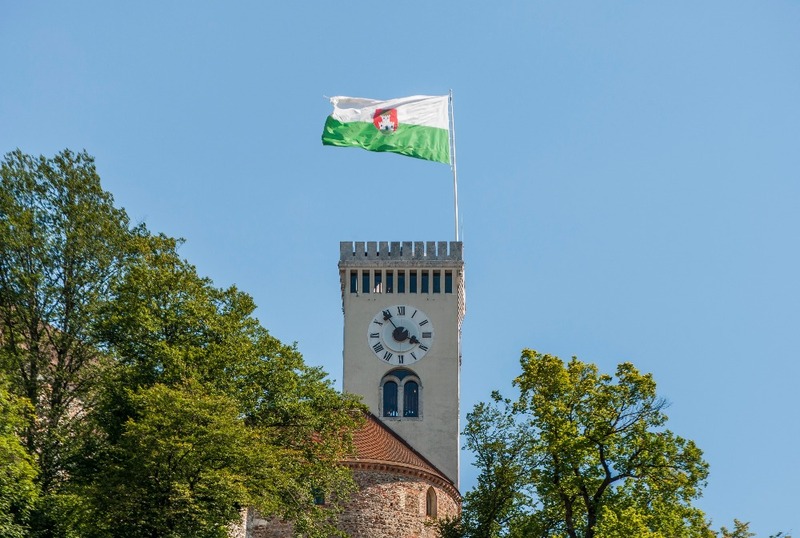 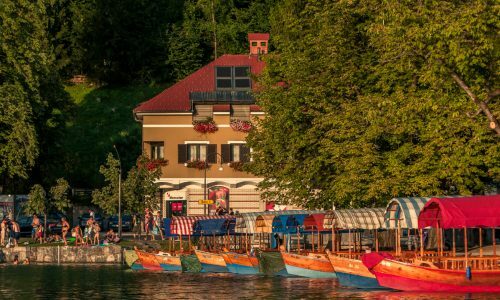 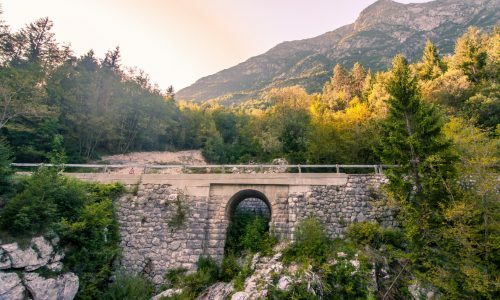 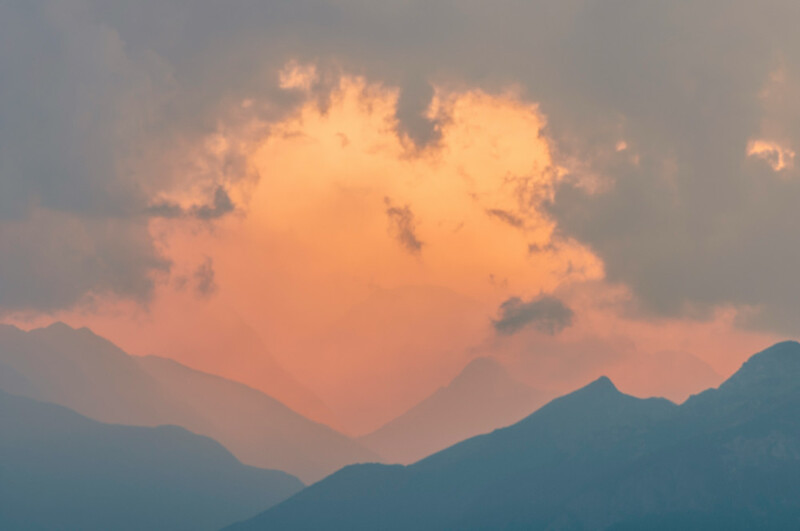 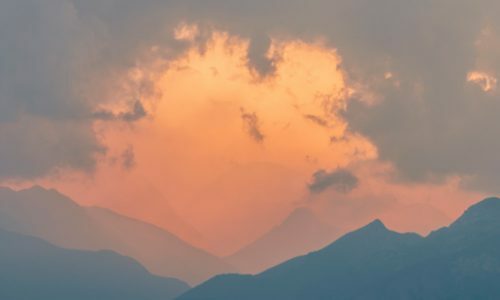 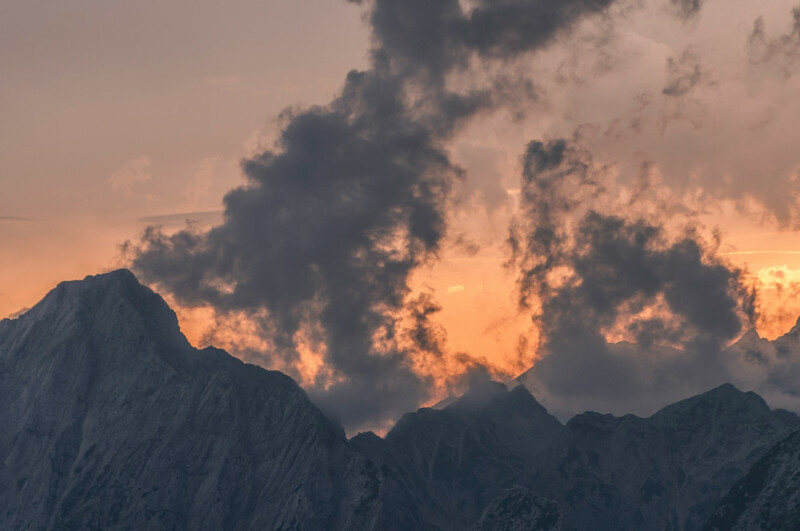 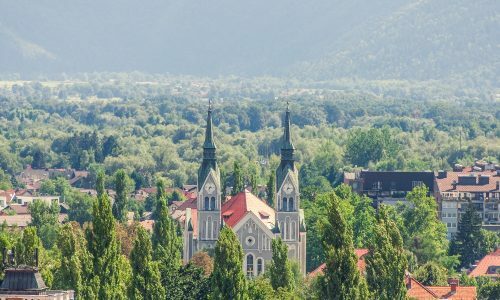 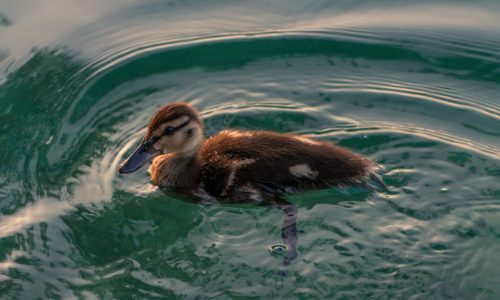 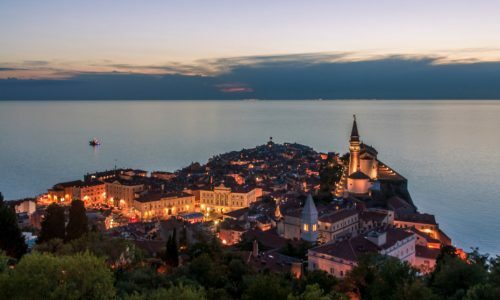 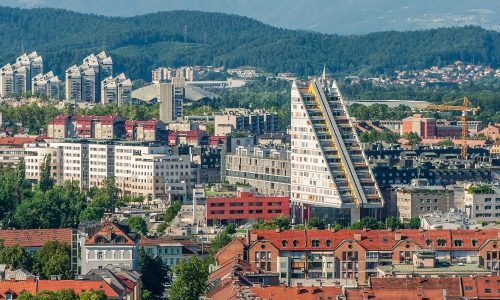 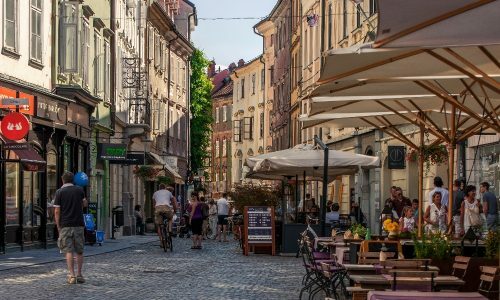 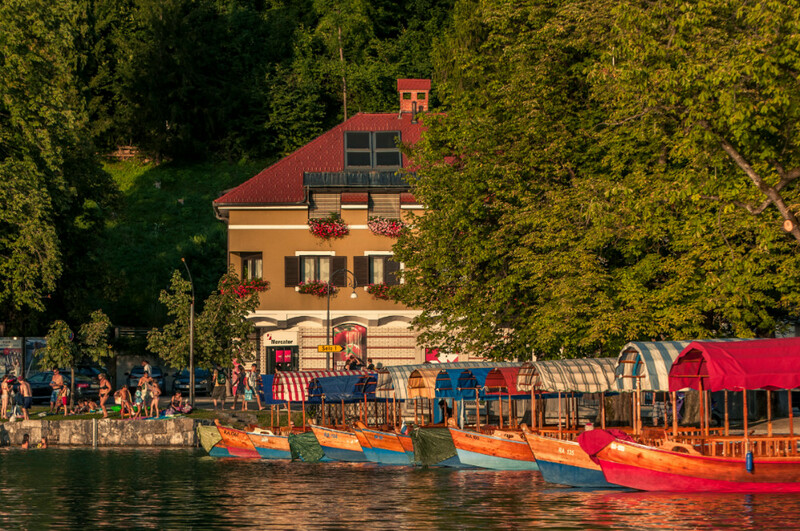 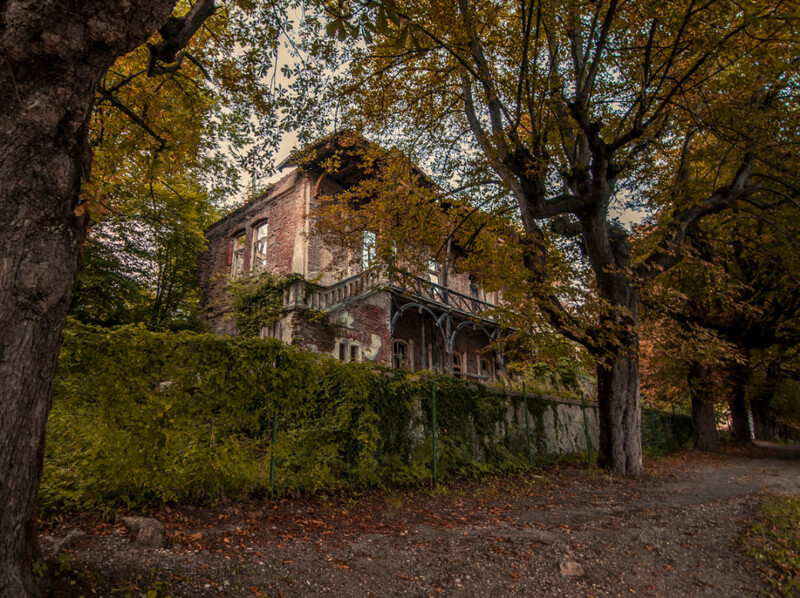 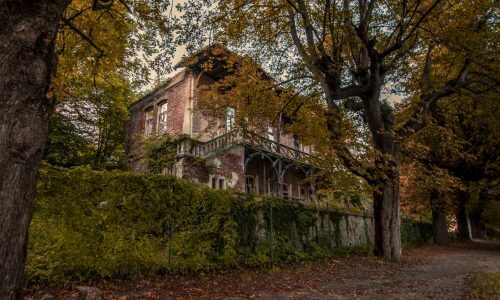 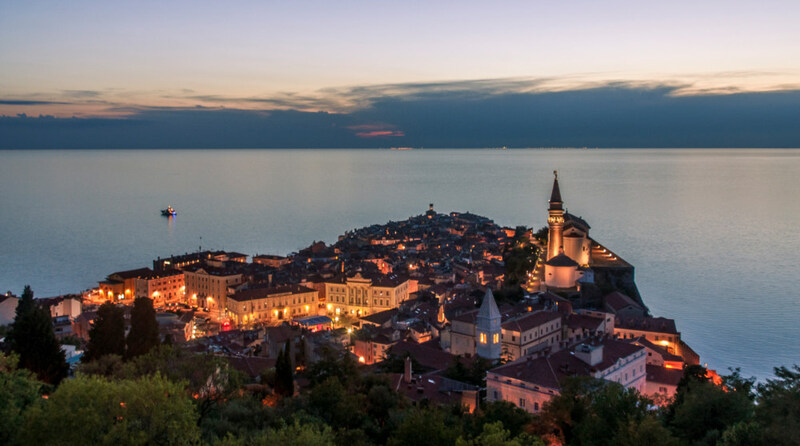 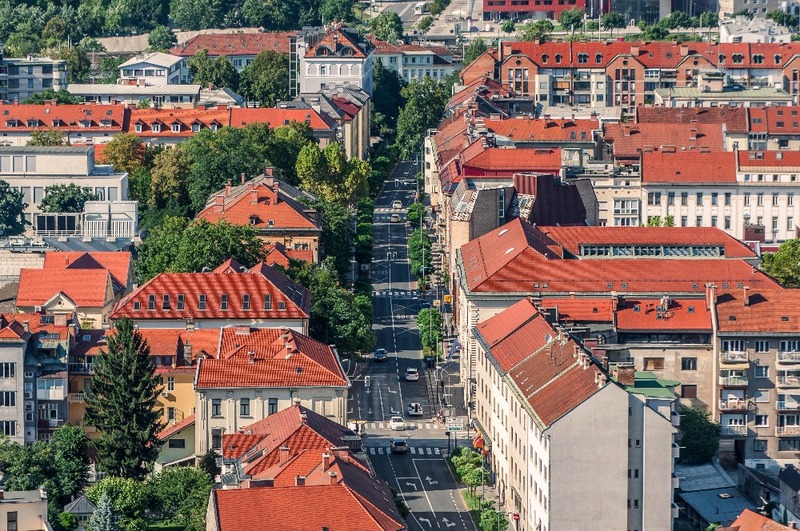 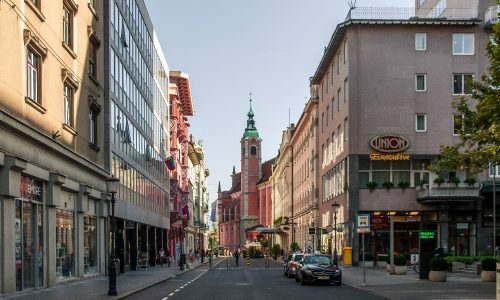 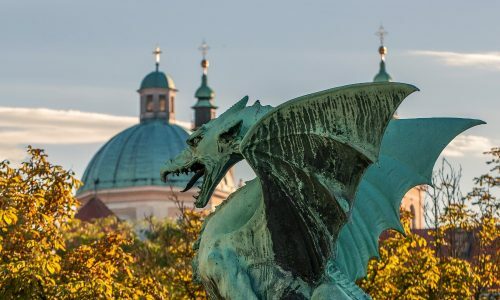 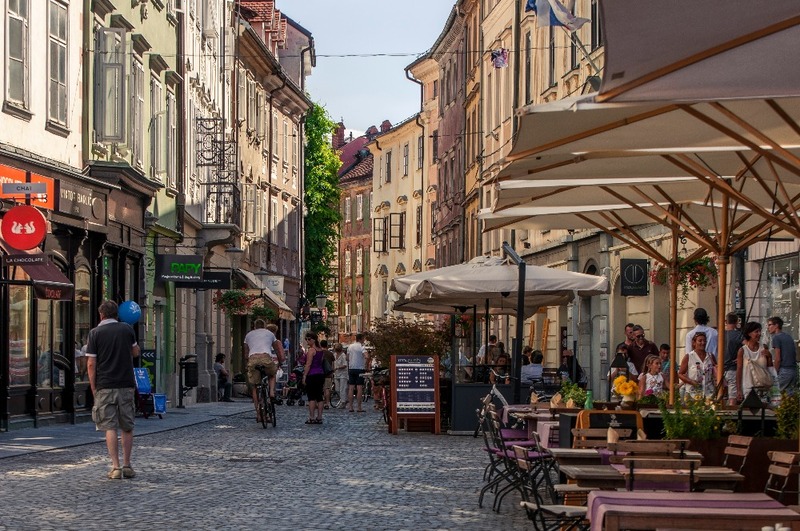 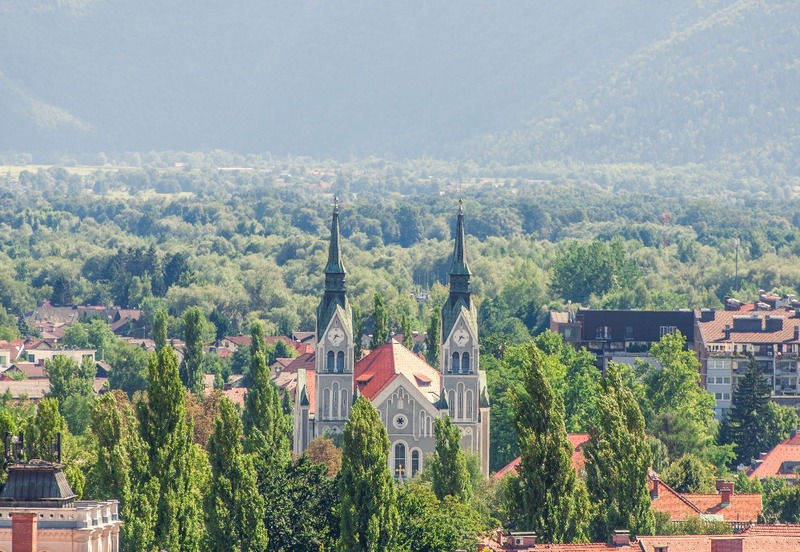 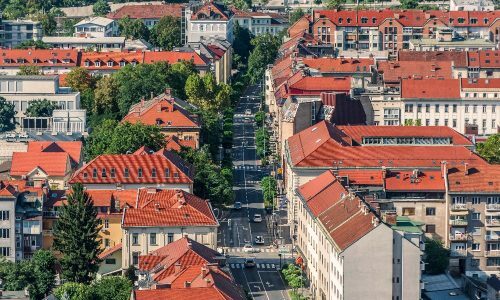 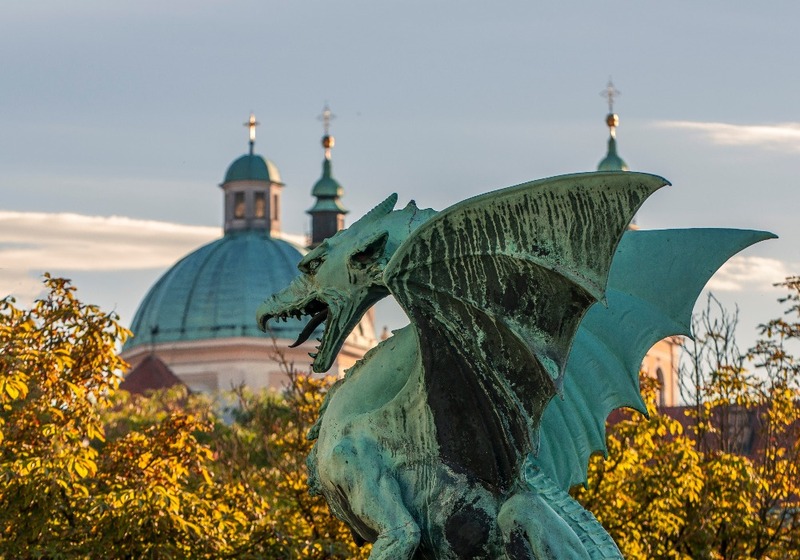 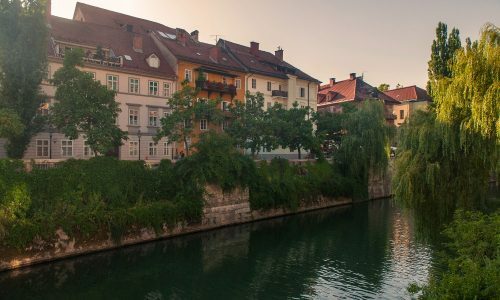 Conveniently sharing borders with Italy, Austria, Hungary and Croatia, Slovenia is always on the way to or from another popular European destination and it’s definitely worth a stop. 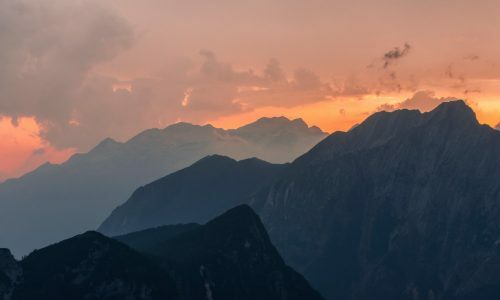 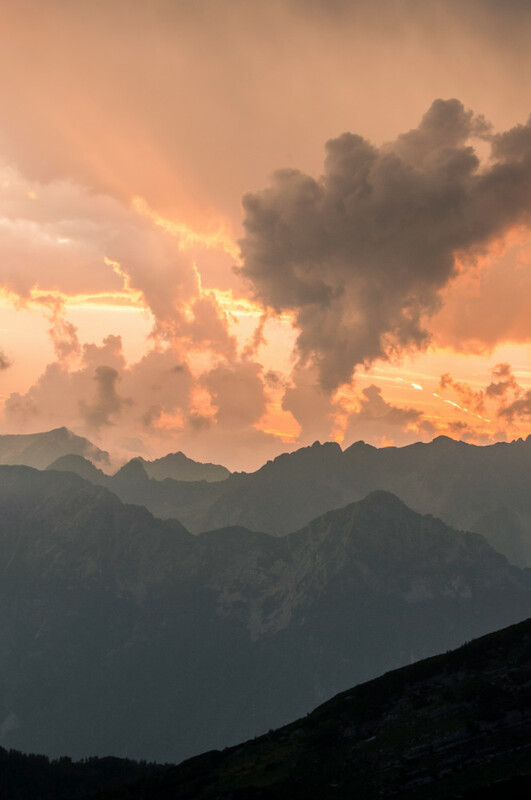 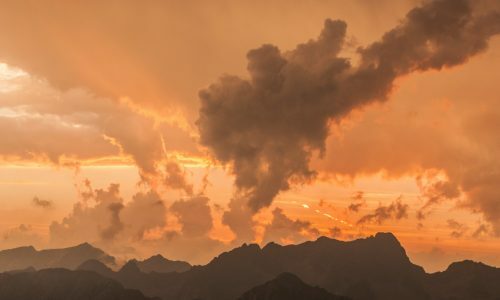 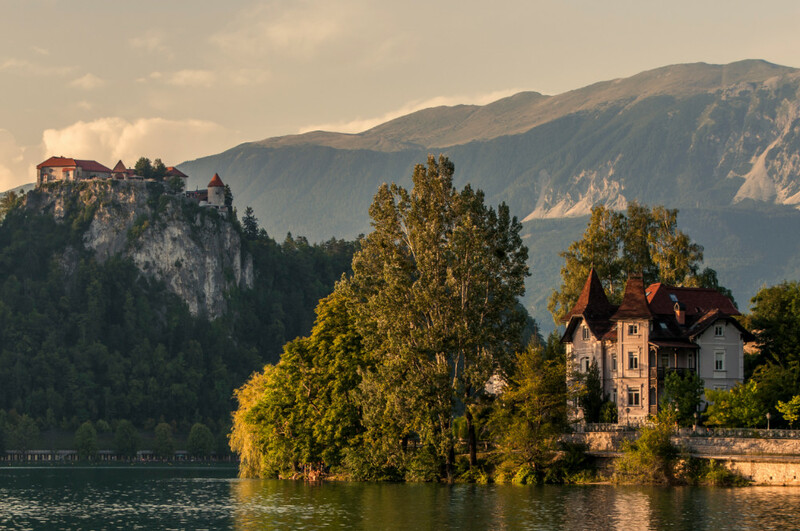 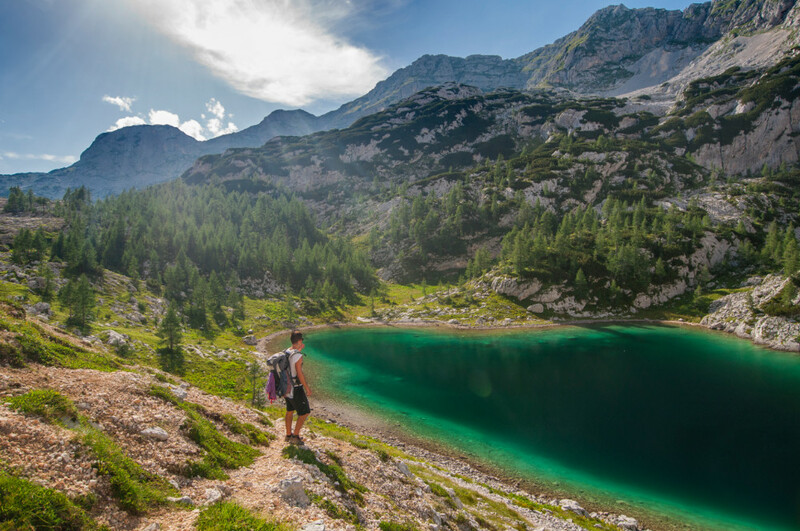 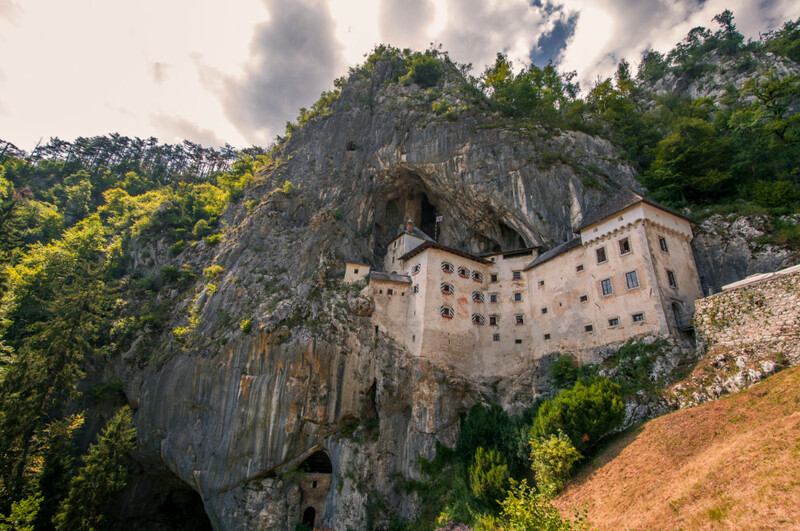 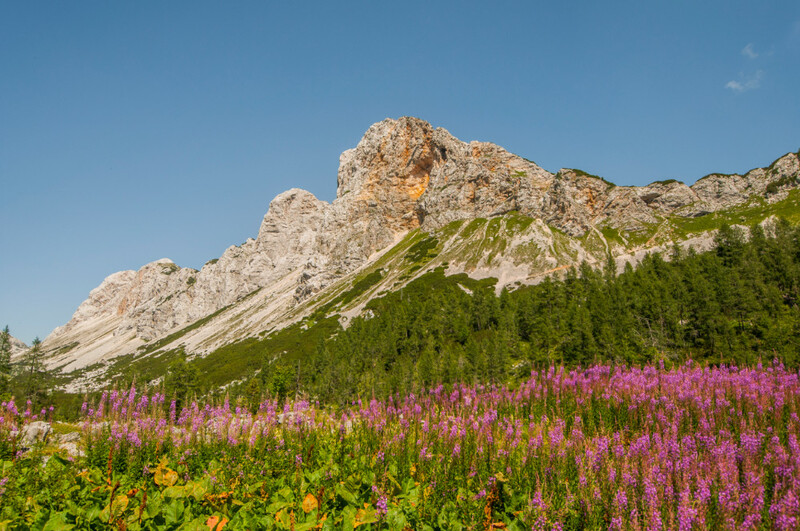 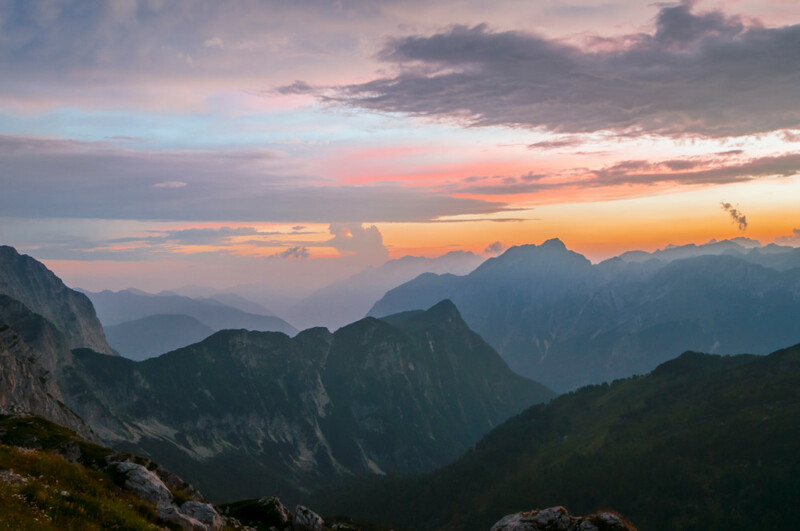 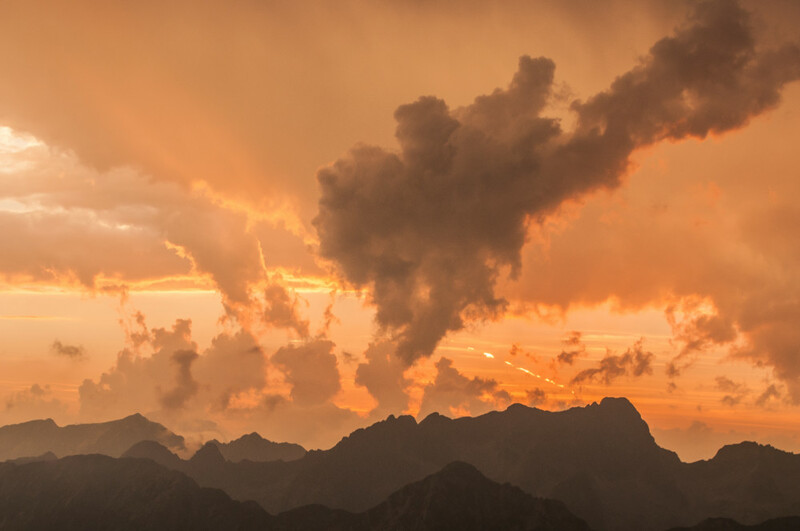 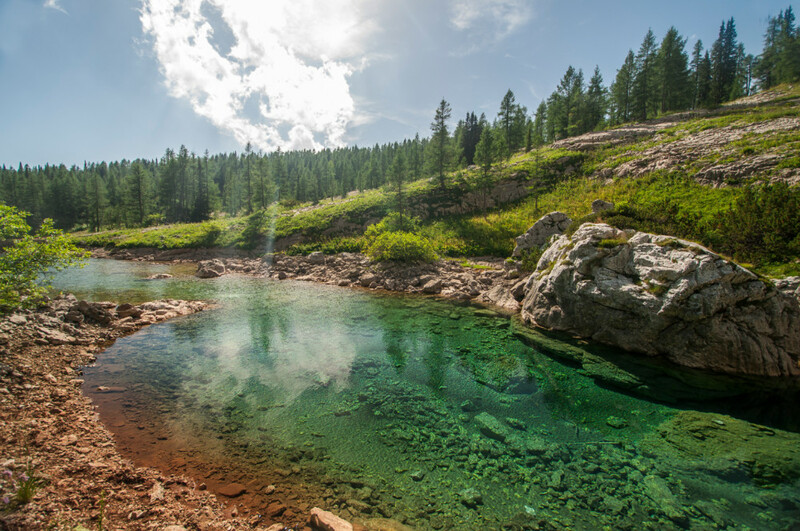 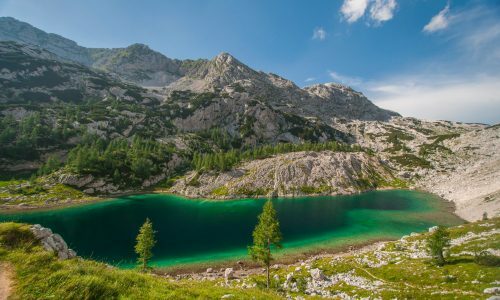 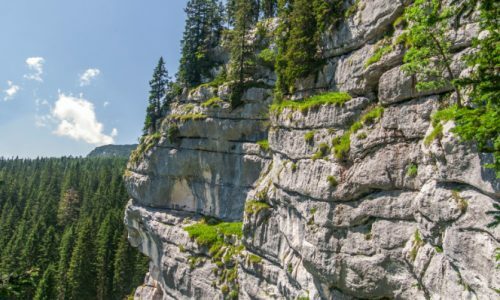 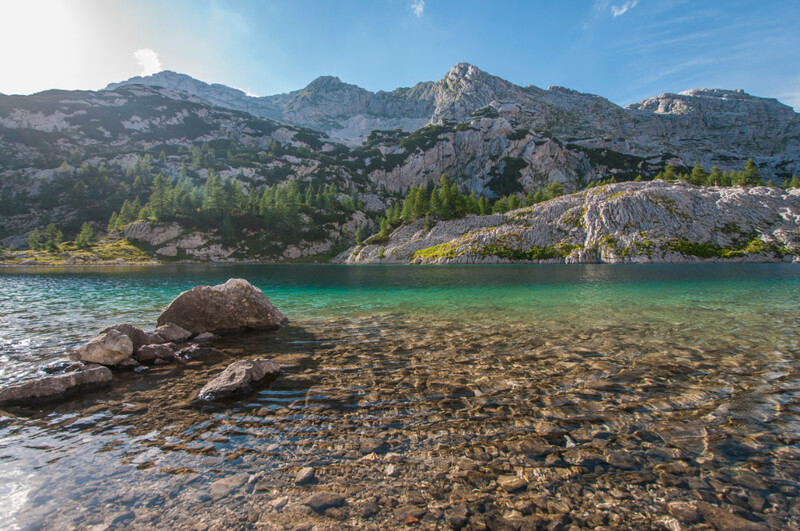 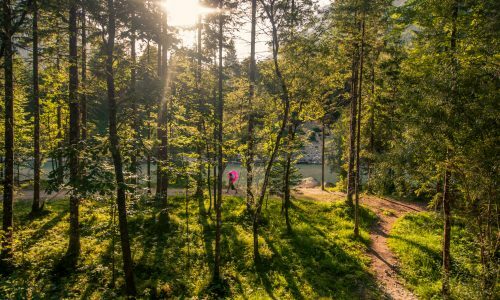 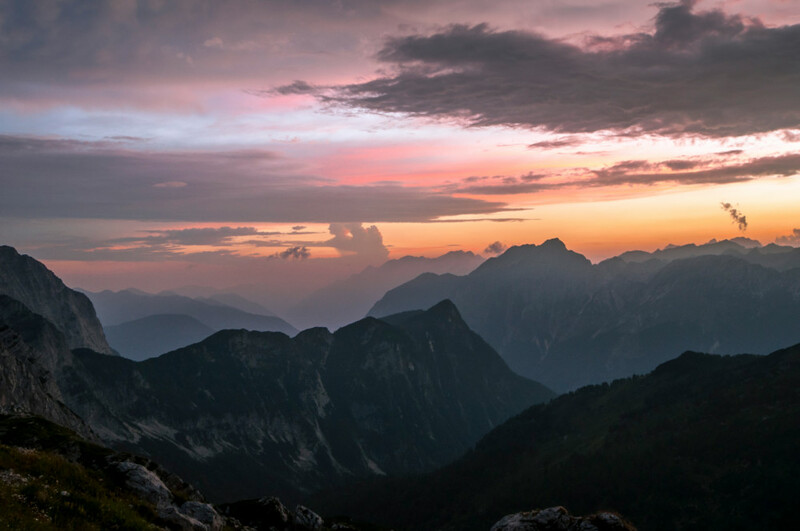 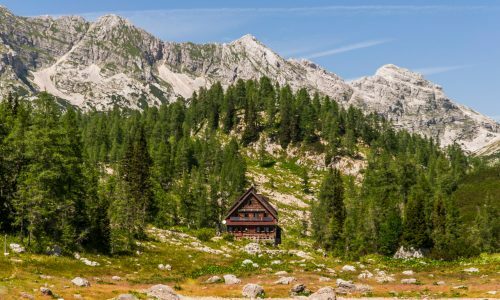 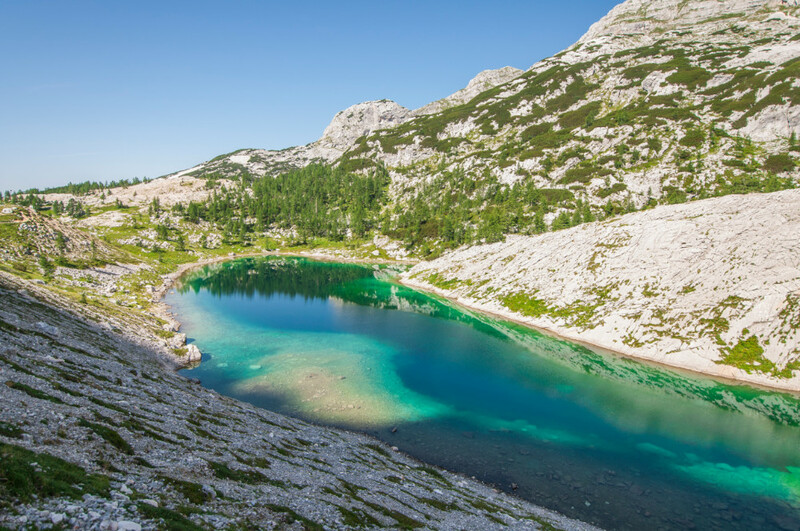 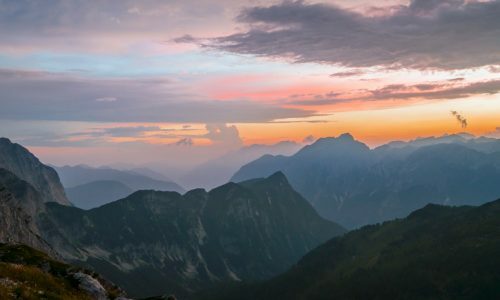 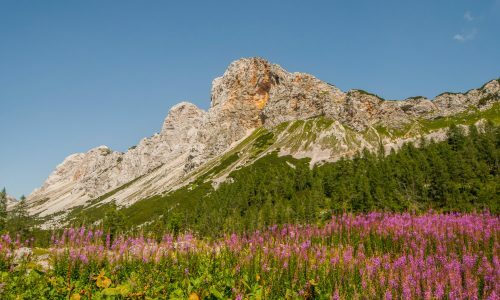 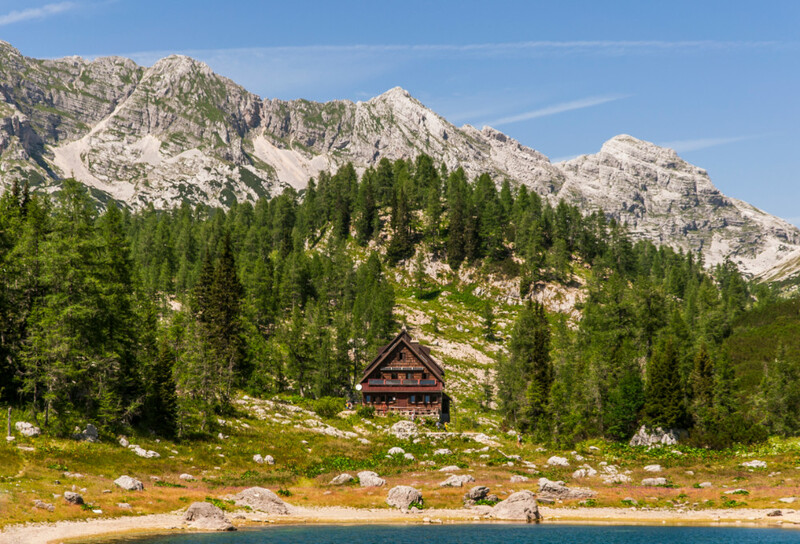 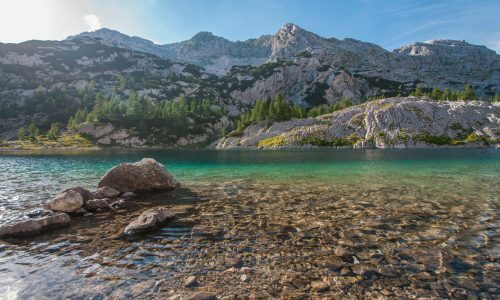 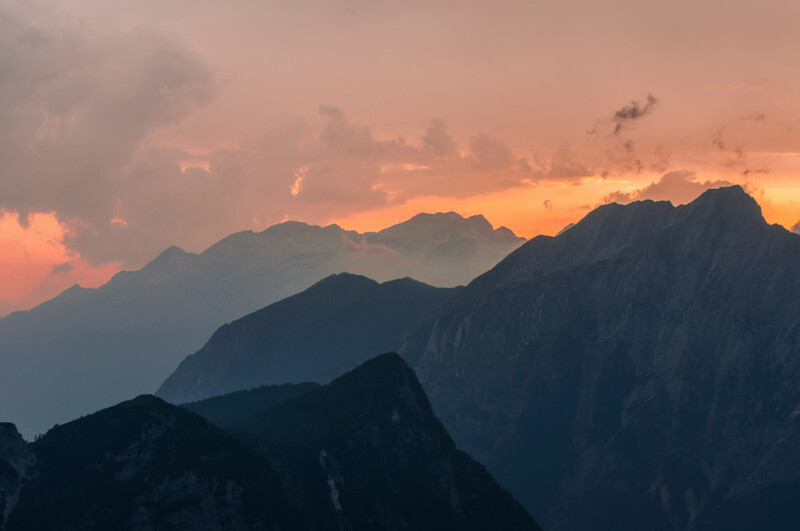 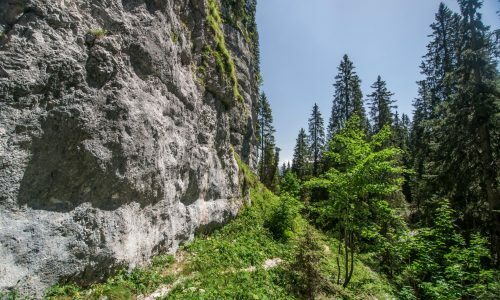 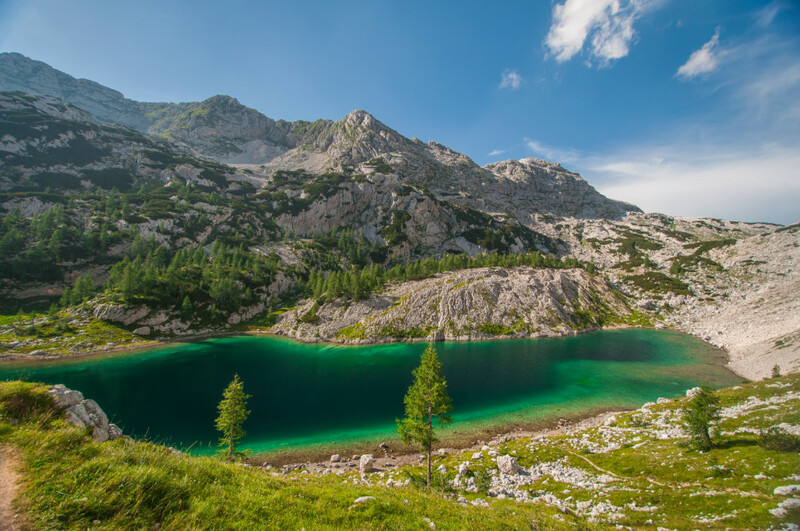 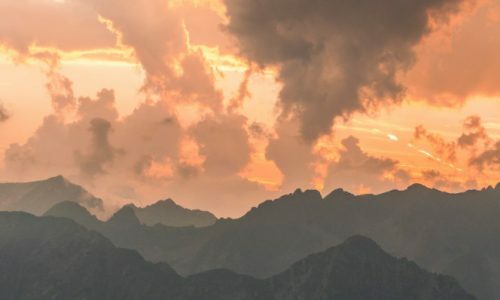 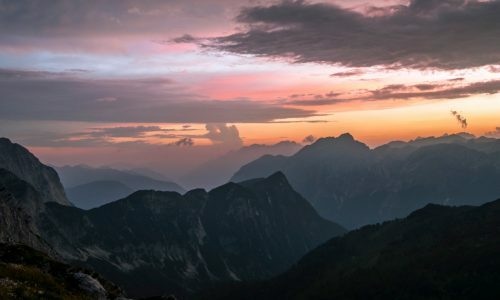 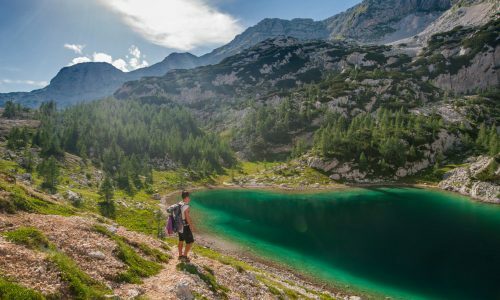 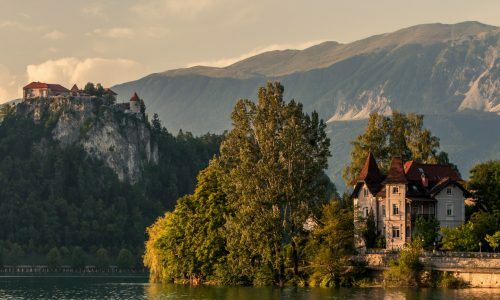 From the magnificent Triglav National Park to the iconic Lake Bled, there really is something for everyone. 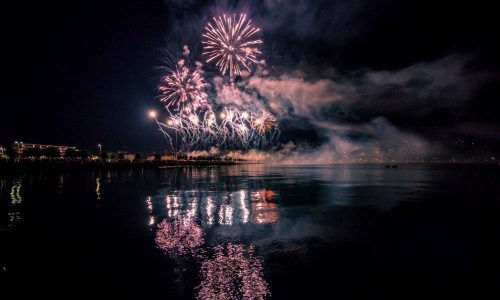 I had a great time with my camera and I’m sure every photographer who visited the area will say the same. 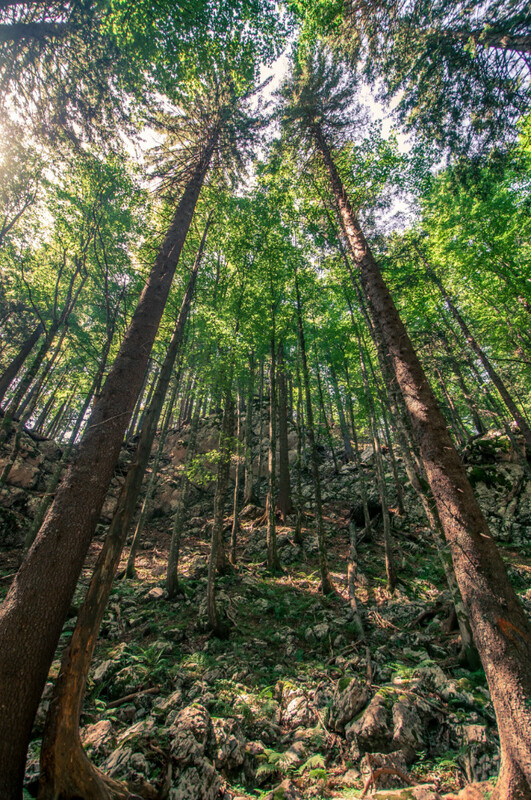 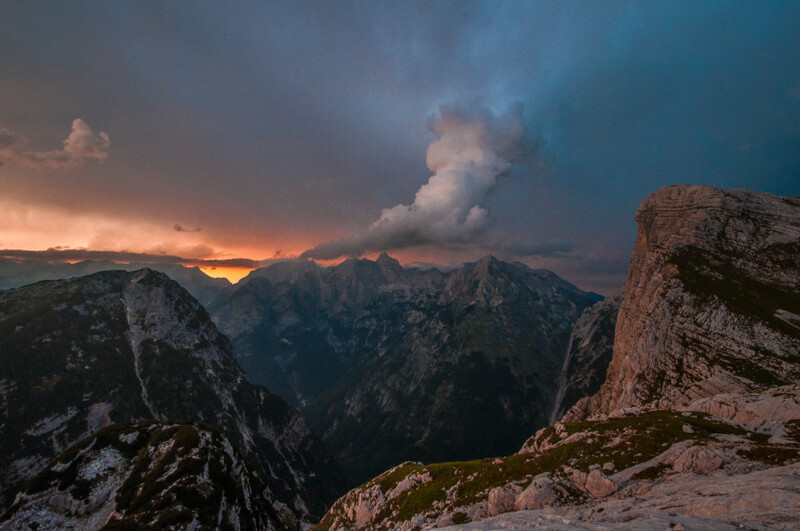 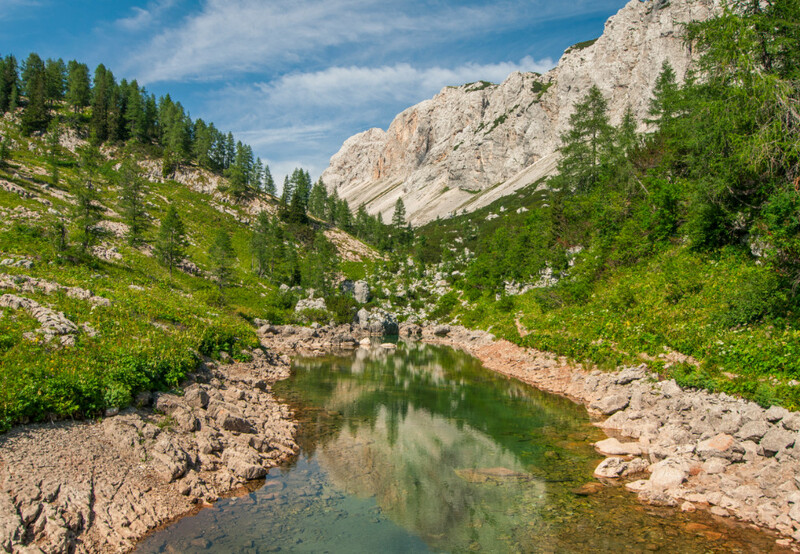 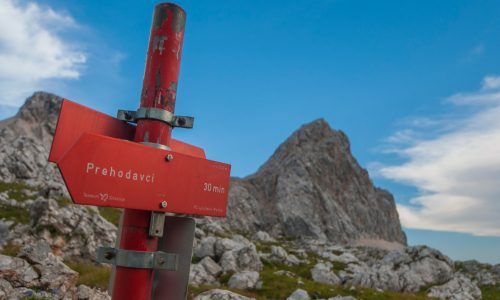 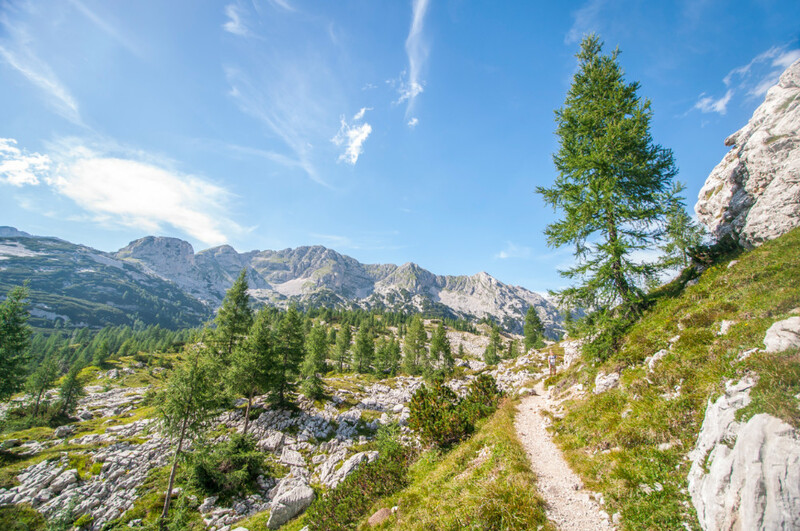 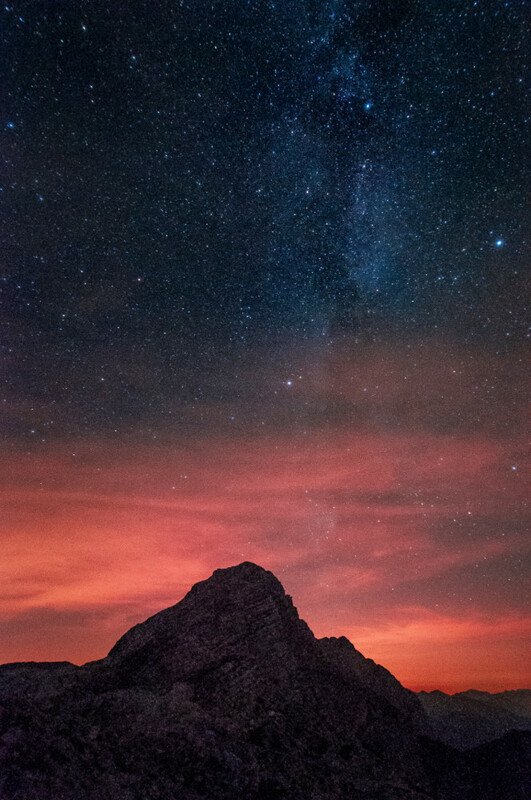 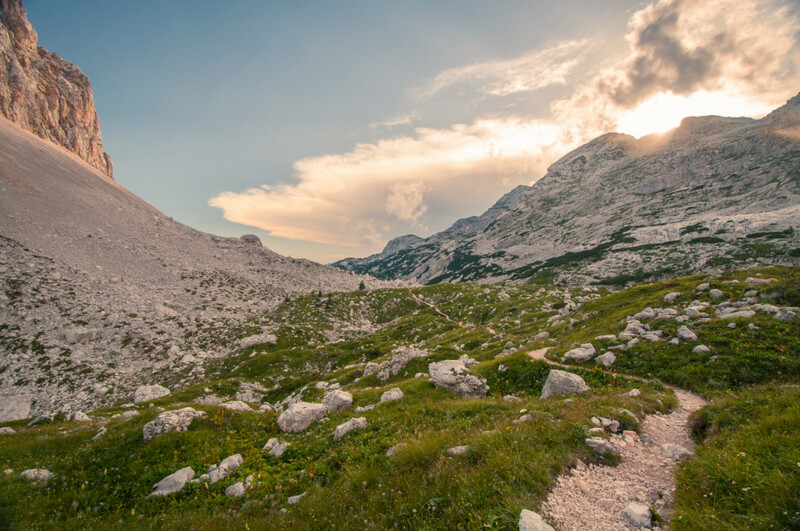 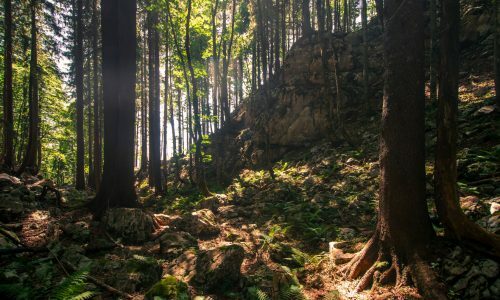 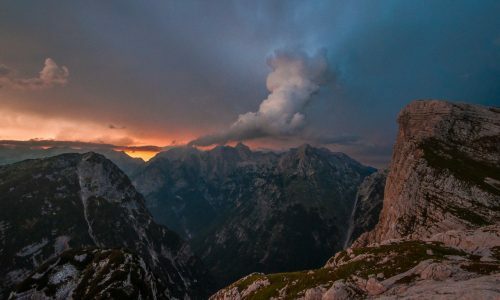 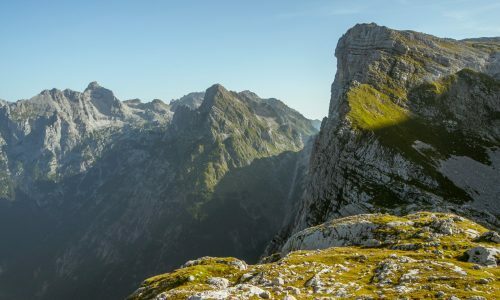 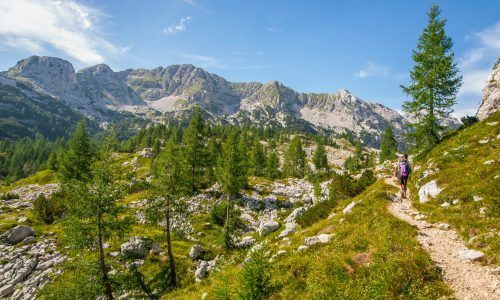 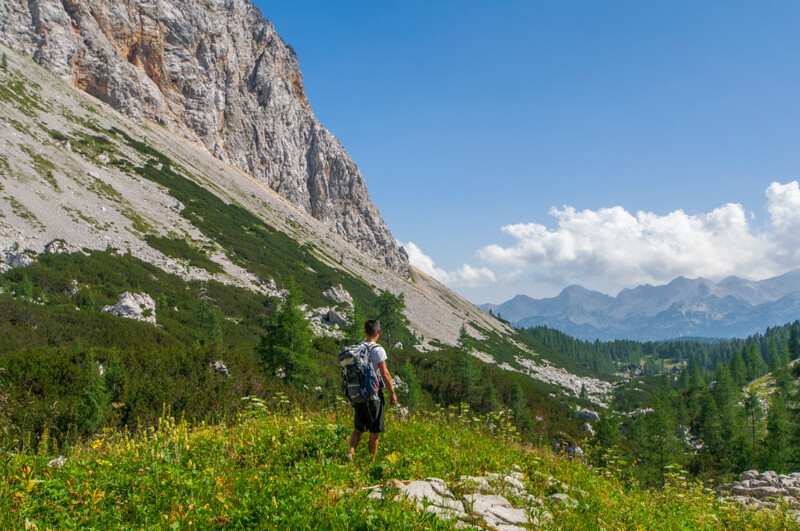 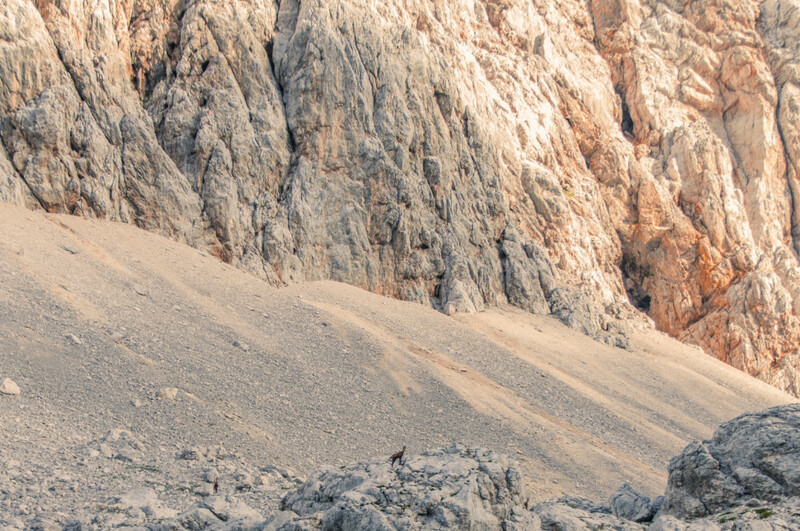 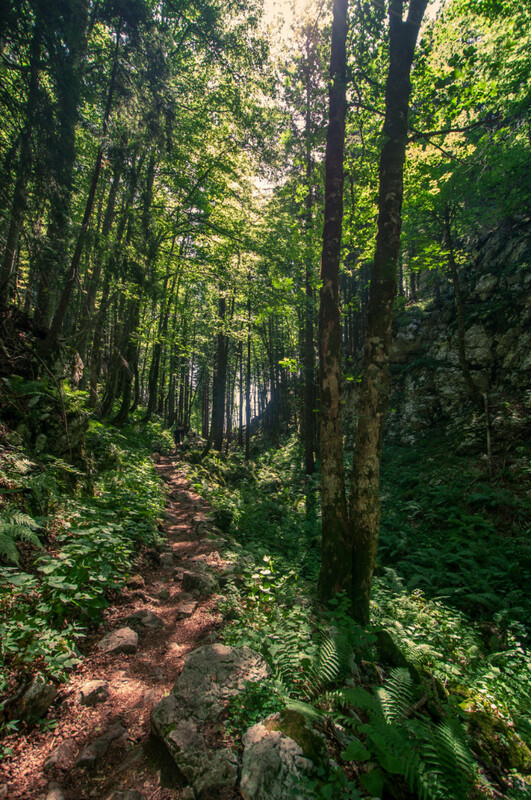 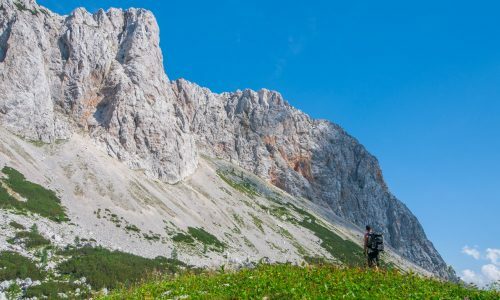 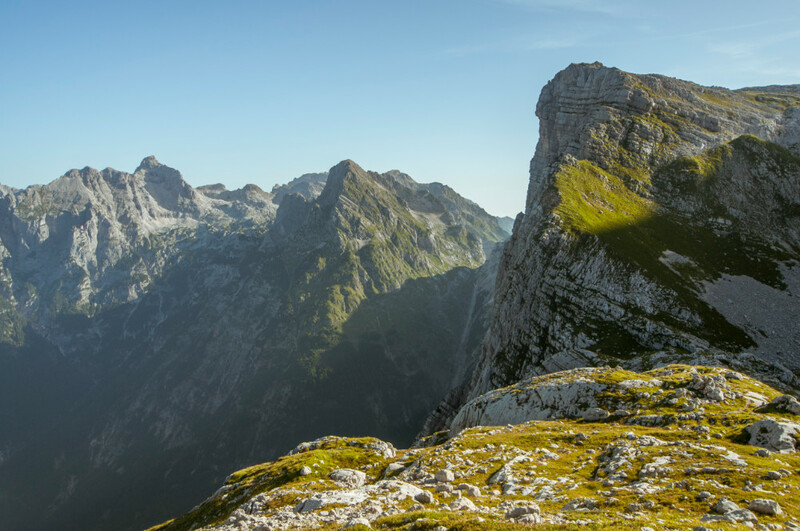 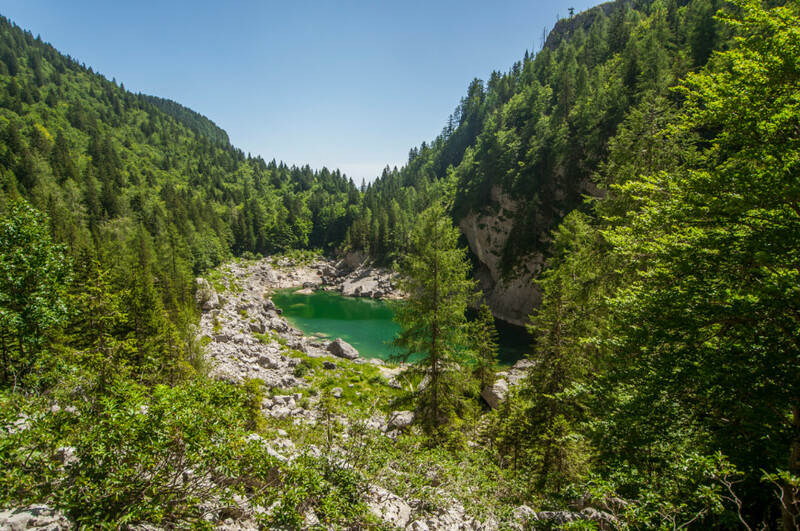 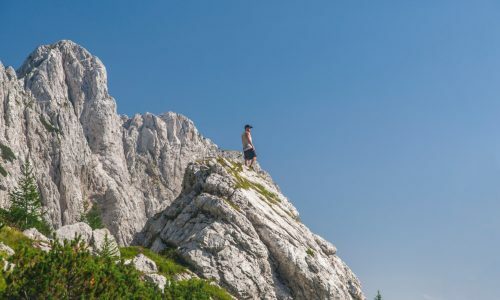 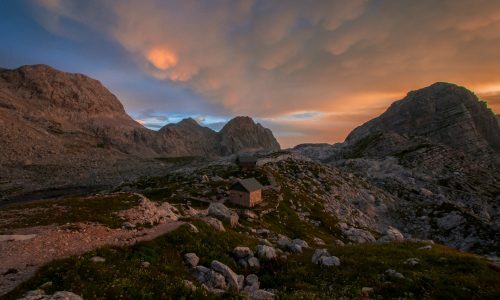 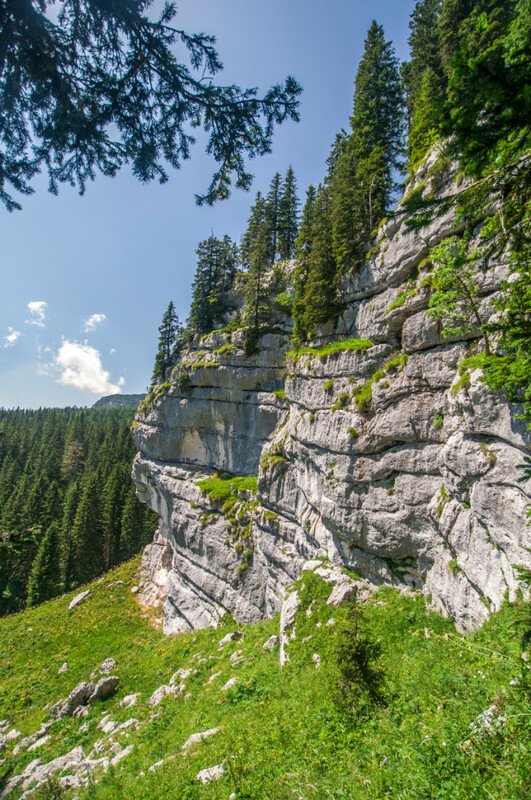 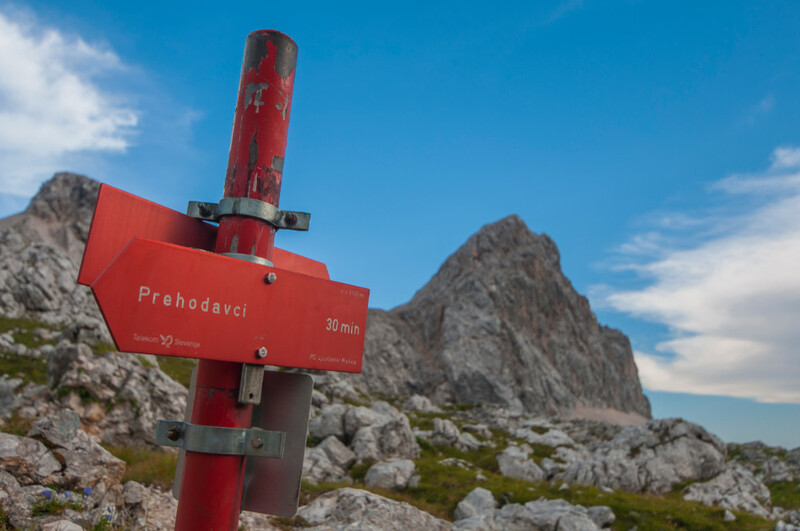 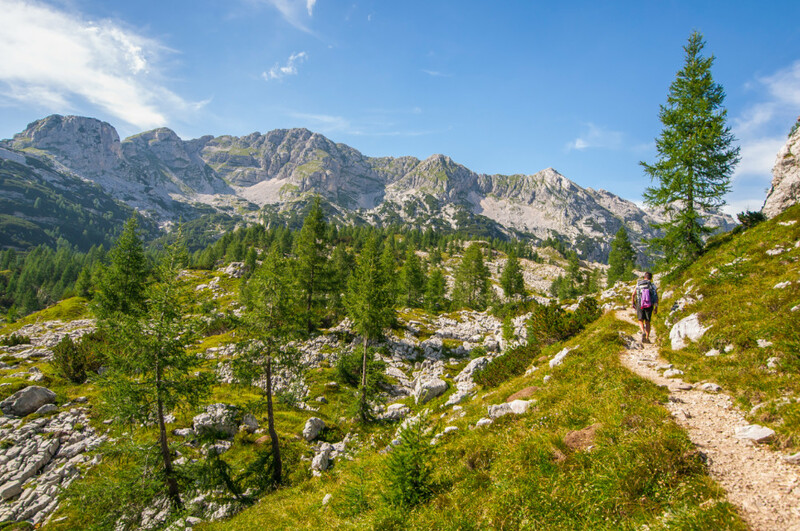 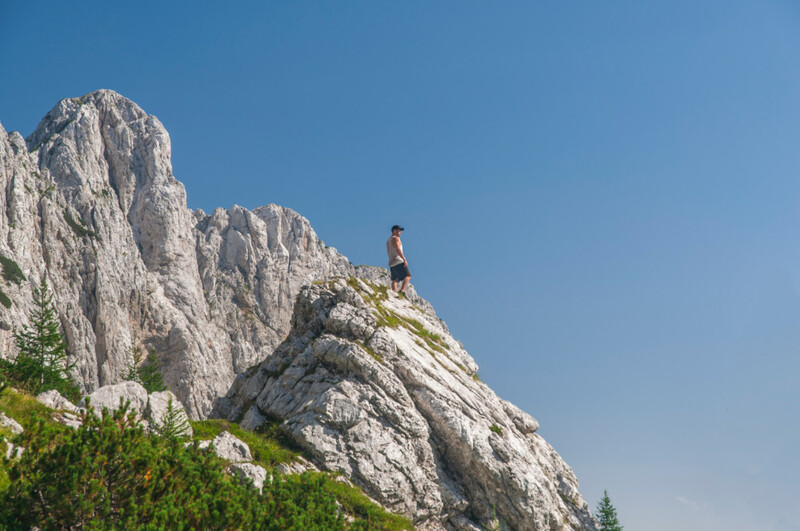 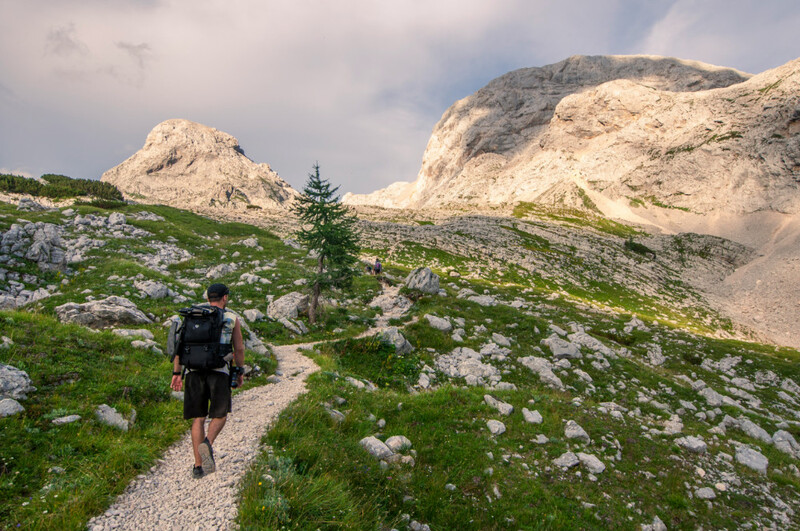 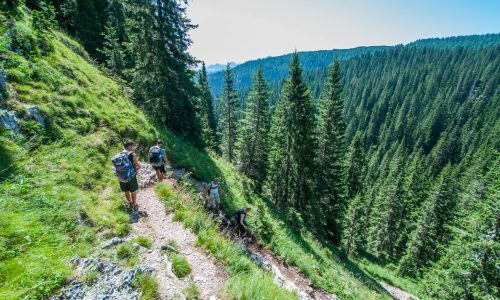 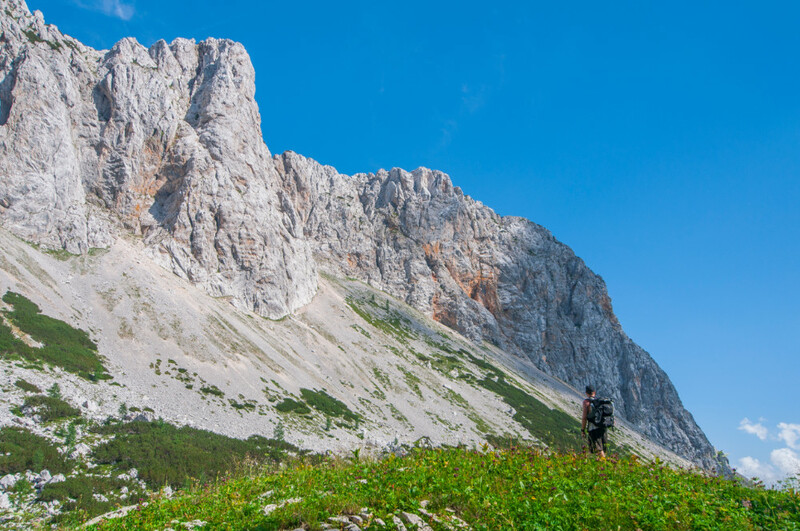 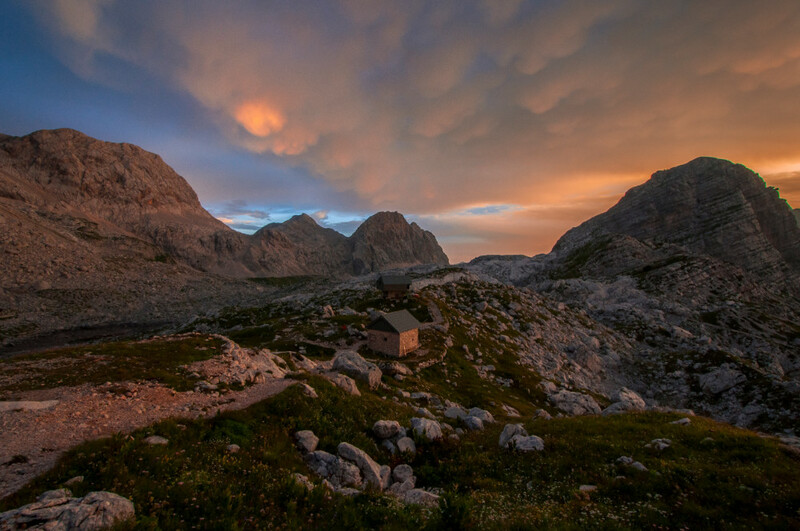 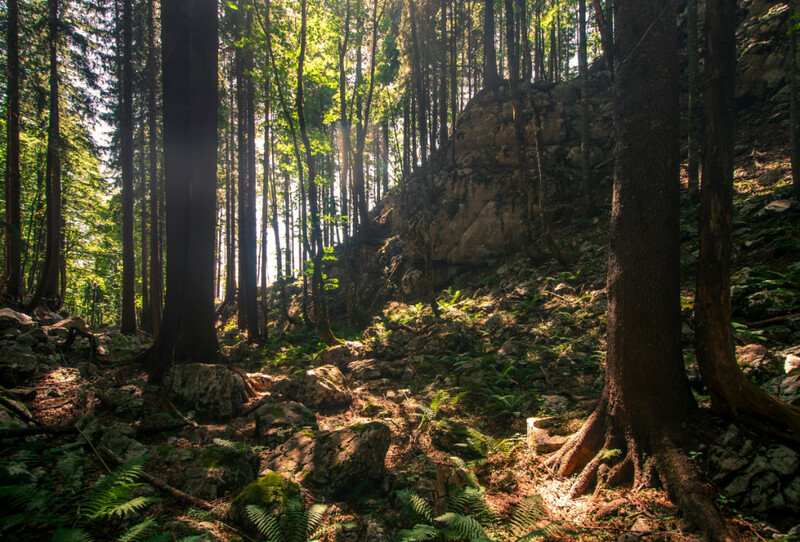 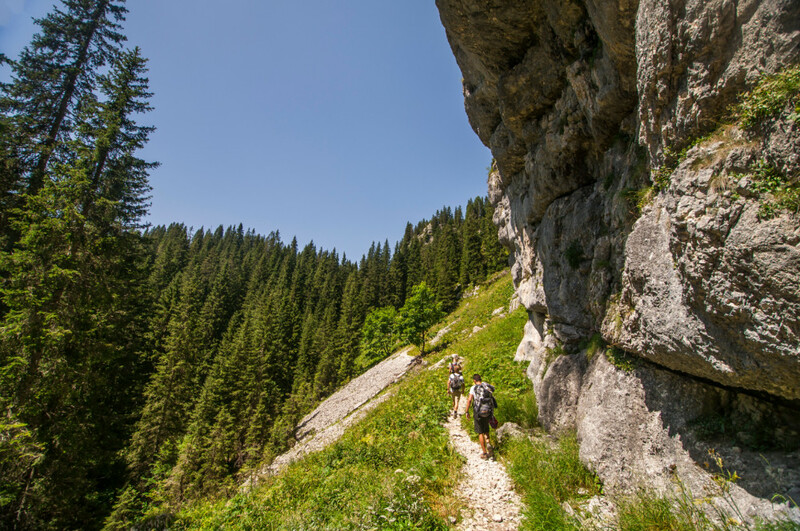 The hike we did in the Triglav National Park was definitely one of my favorites of all time. 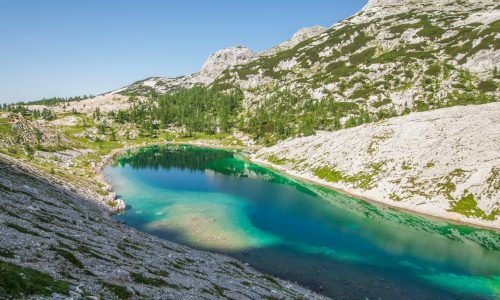 We did the 7 lakes hike departing from the parking lot at the Planinski Dom Savica restaurant to the Prehodavci hut, which took us about 10 hours to complete over 2 days. 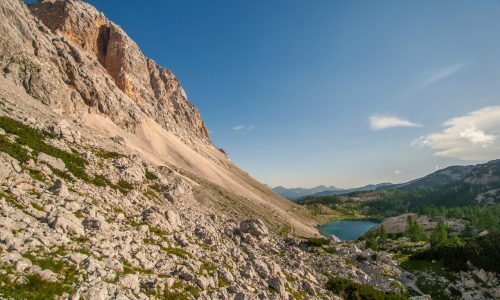 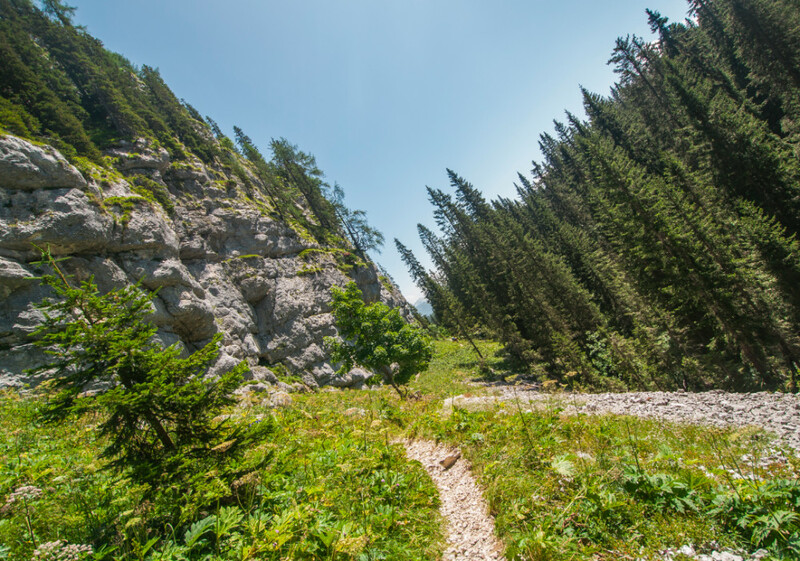 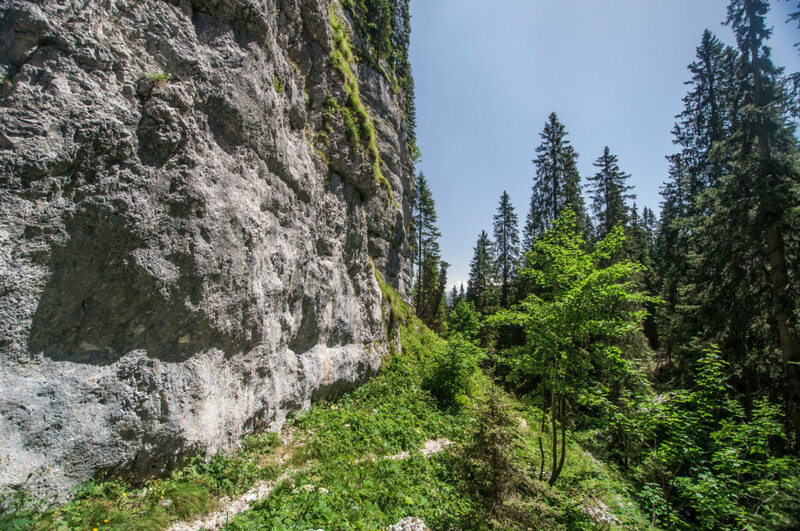 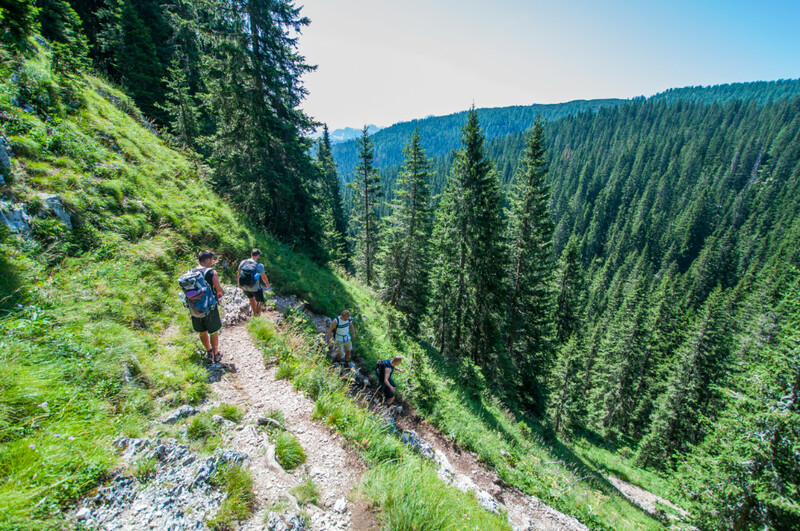 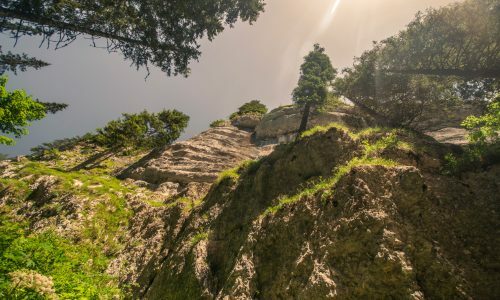 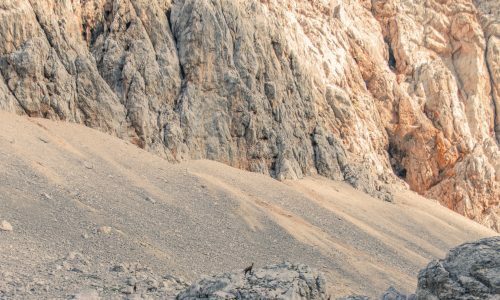 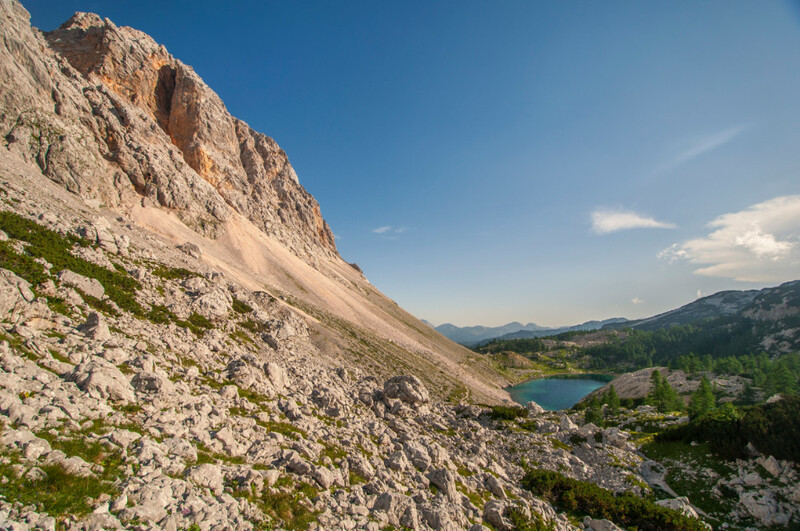 Be ready for a brutal start (you must climb 1000m up a steep cliff right from the beginning) but the views and lakes at the top are well worth the effort. 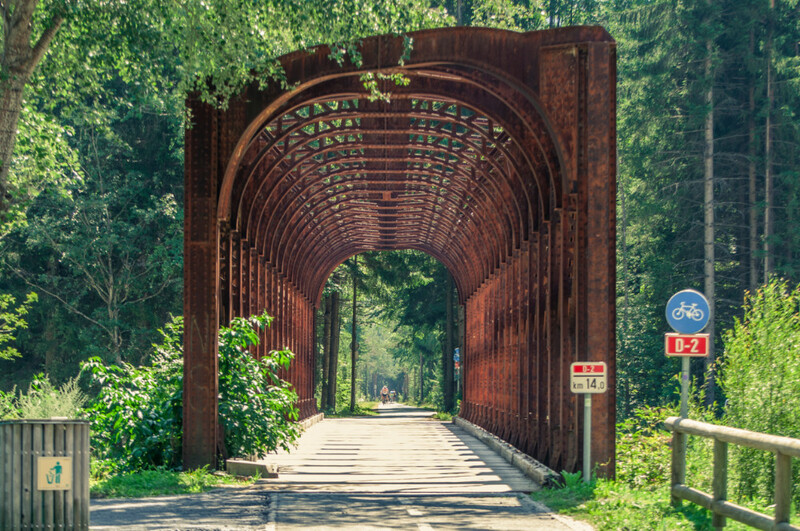 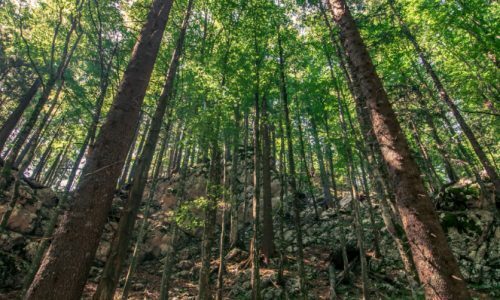 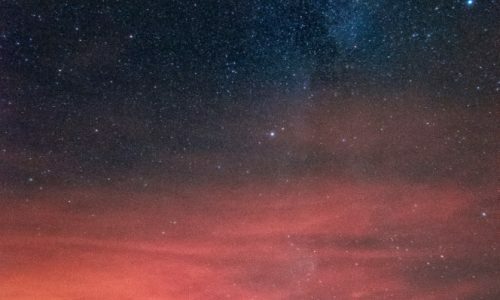 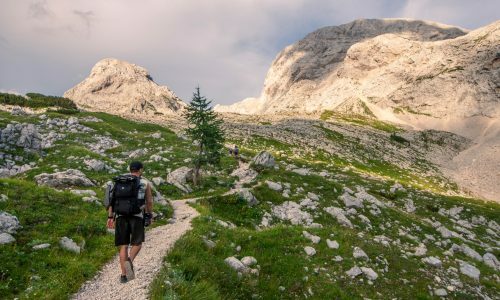 If you have more time, there are several trails in the region that, I am sure, are also worth checking out. 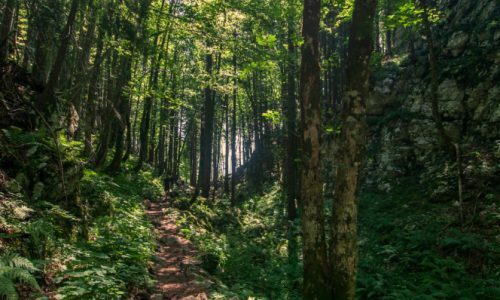 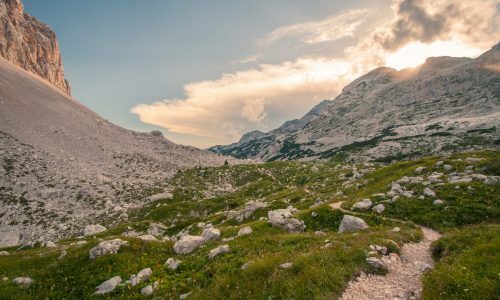 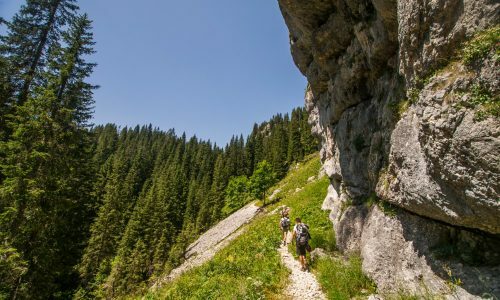 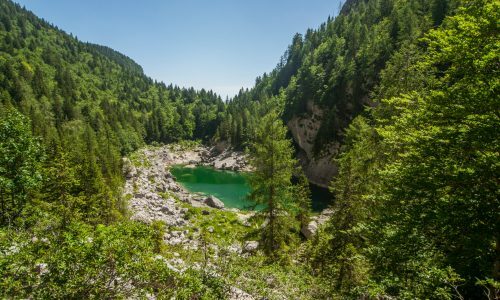 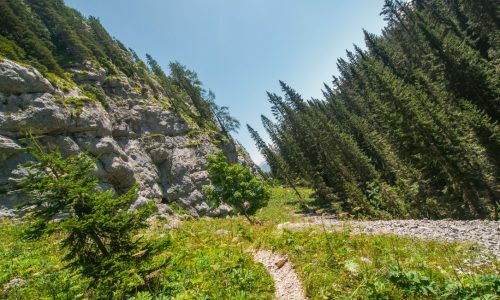 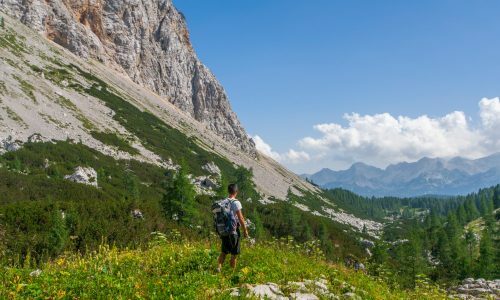 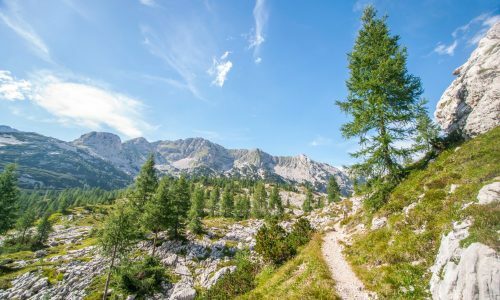 The hike we did in the Triglav National Park was definitely one of my favourites of all time. 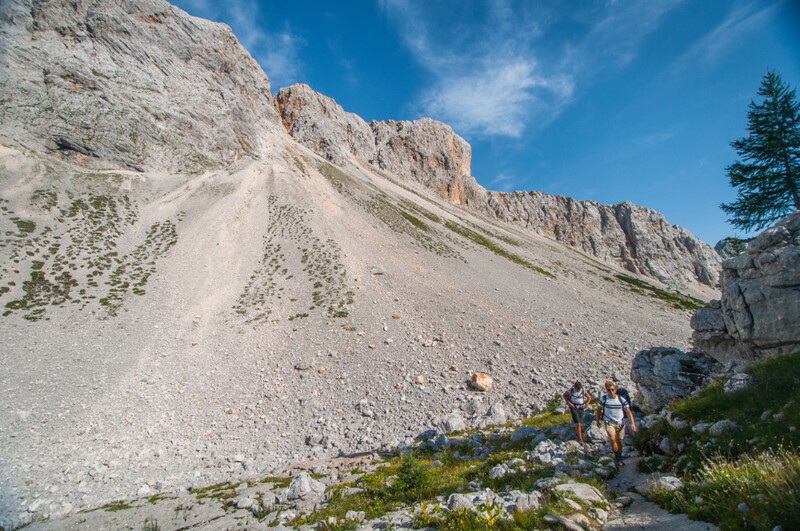 We did the 7 lakes hike departing from the parking lot at the Planinski Dom Savica restaurant to the Prehodavci hut, which took us about 10 hours to complete over 2 days. 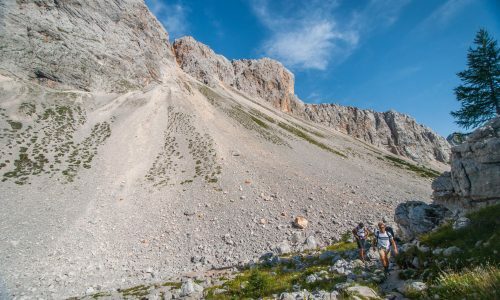 Be ready for a brutal start (you must climb 1000m up a steep cliff right from the beginning) but the views and lakes at the top are well worth the effort. 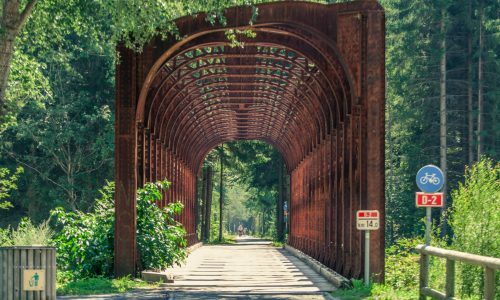 If you have more time, there are several trails in the region that, I am sure, are also worth checking out. 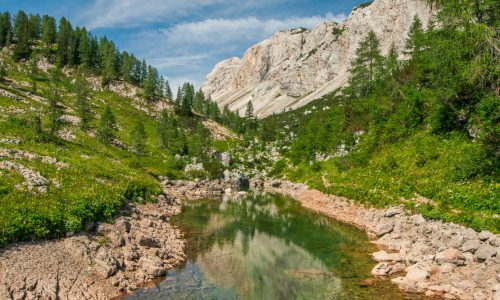 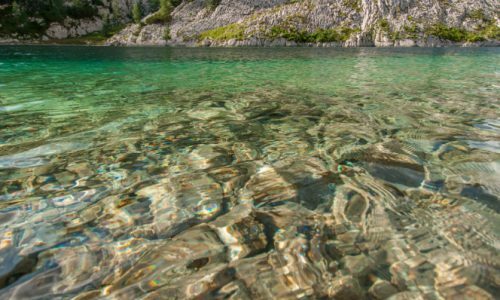 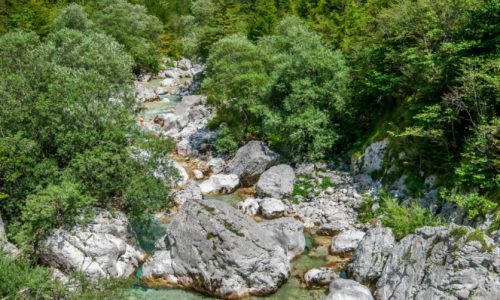 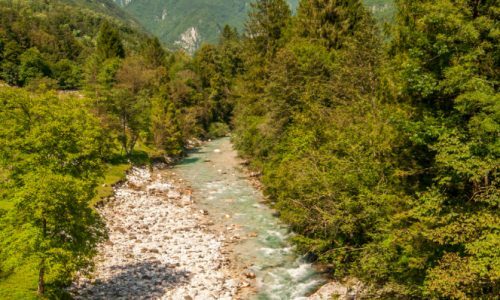 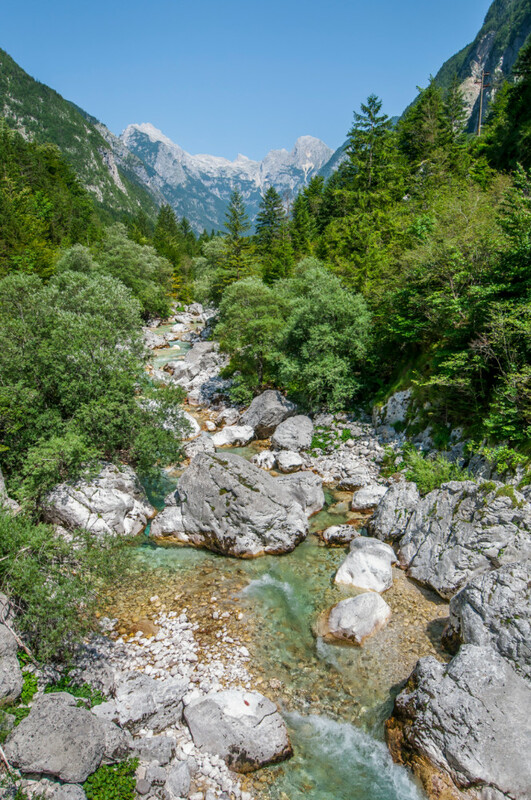 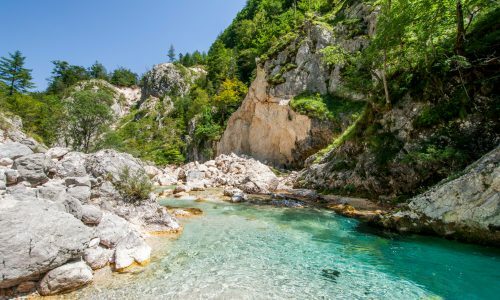 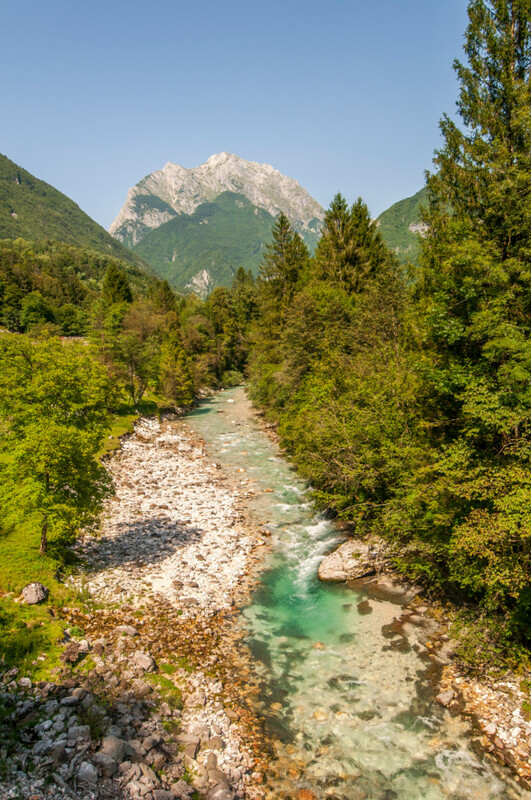 If you visit Triglav National Park and got an extra day or don’t really feel like hiking, you can’t miss out on the Soca River. 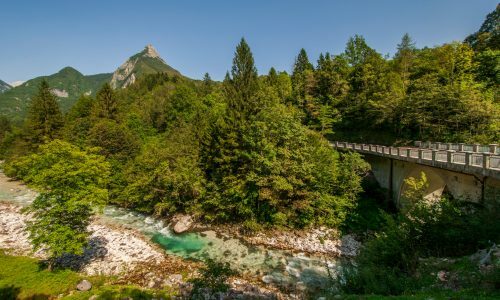 It’s a long (but beautiful) drive to Bovec, but it is absolutely worth it. 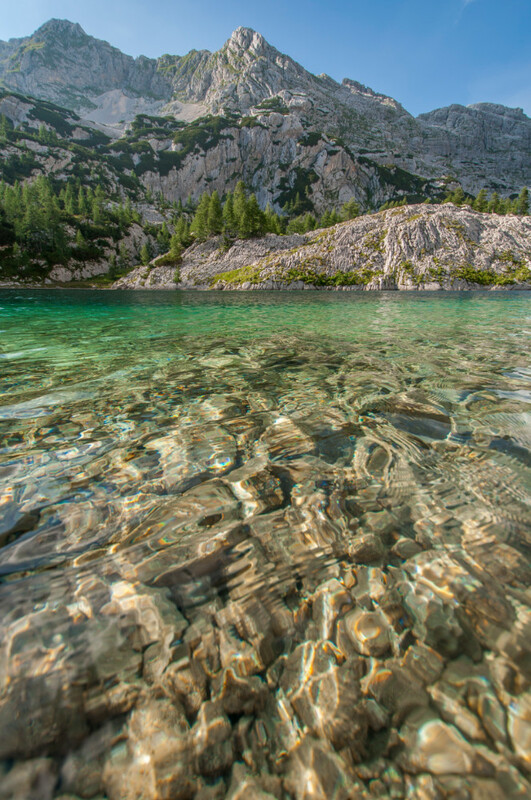 The water is the coldest I’ve ever swum in, but I think the pictures speak for themselves. 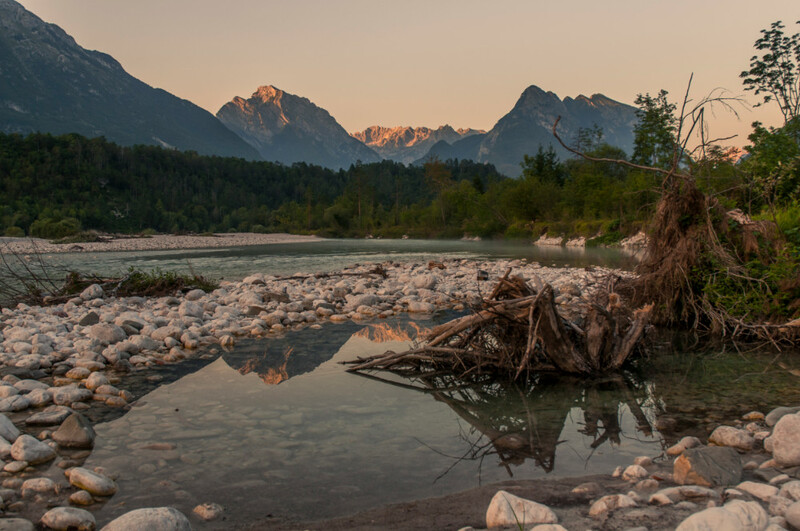 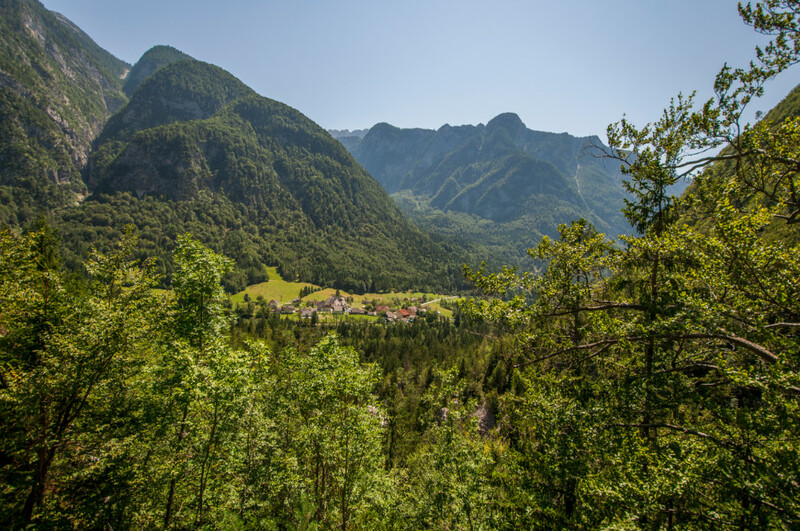 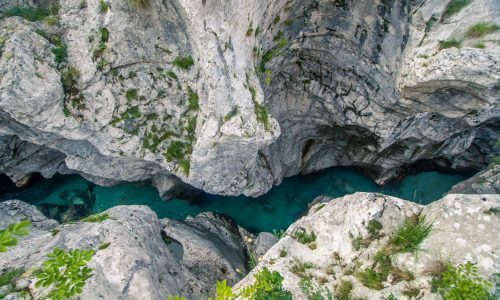 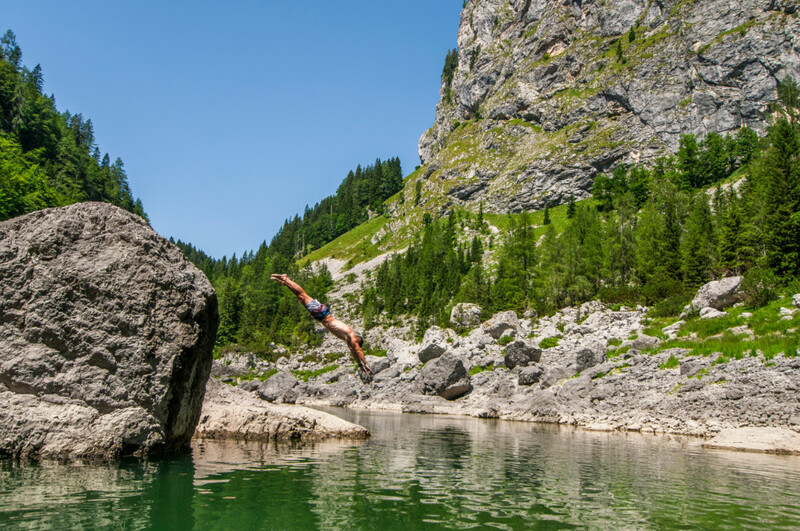 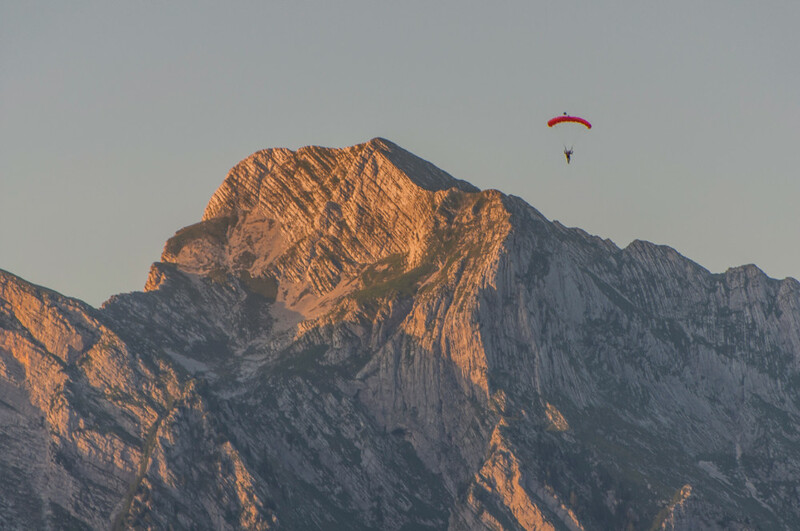 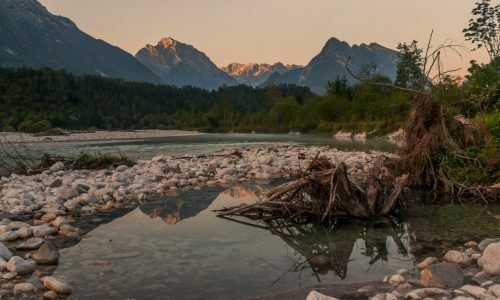 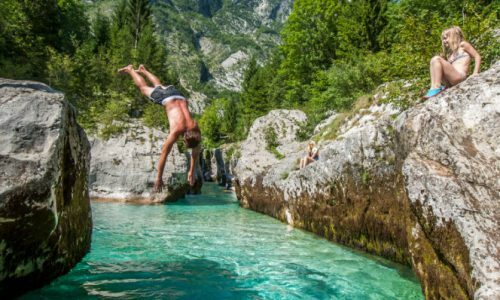 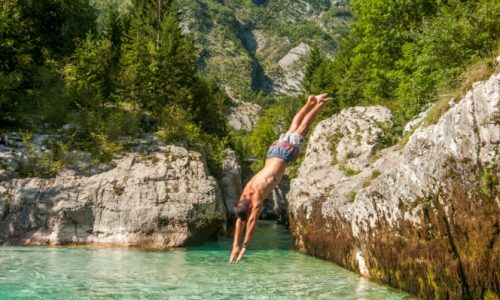 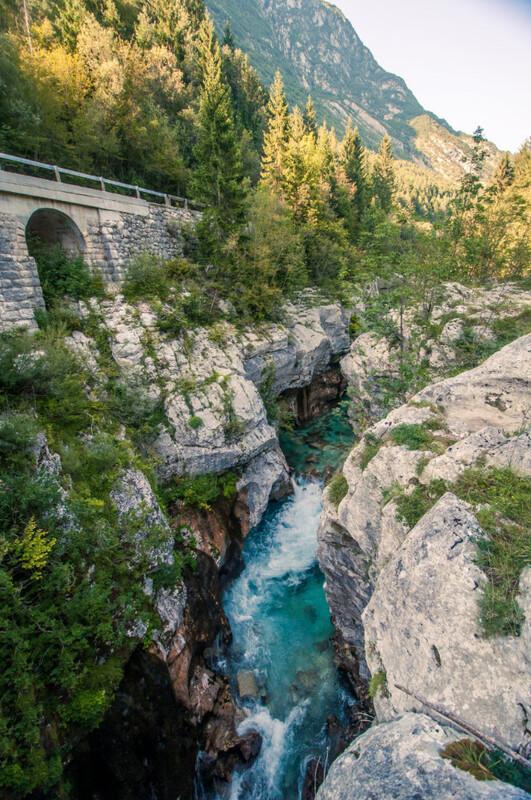 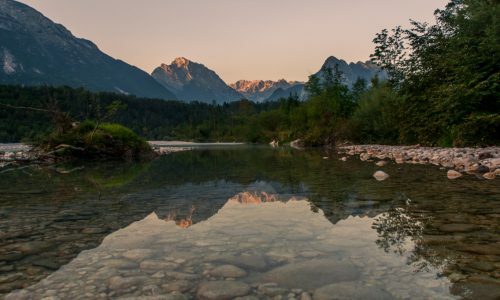 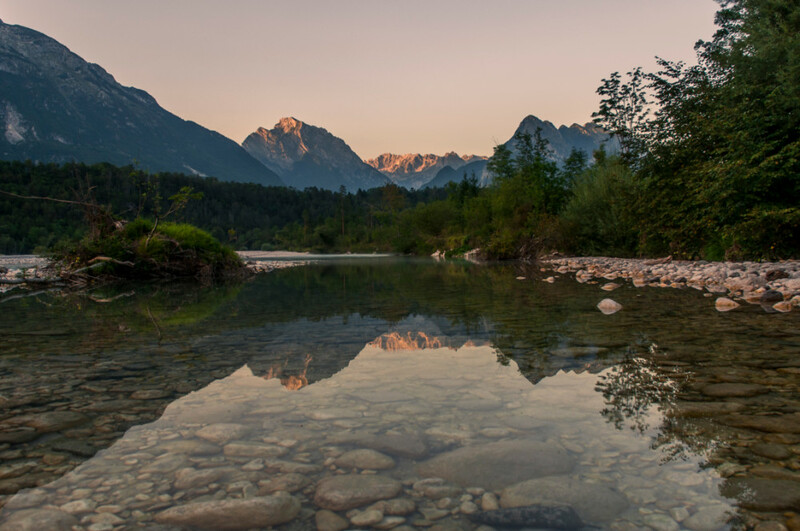 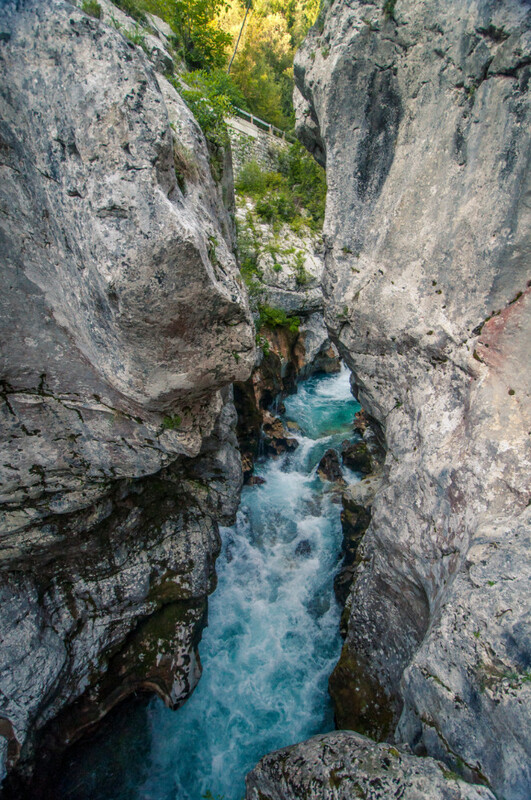 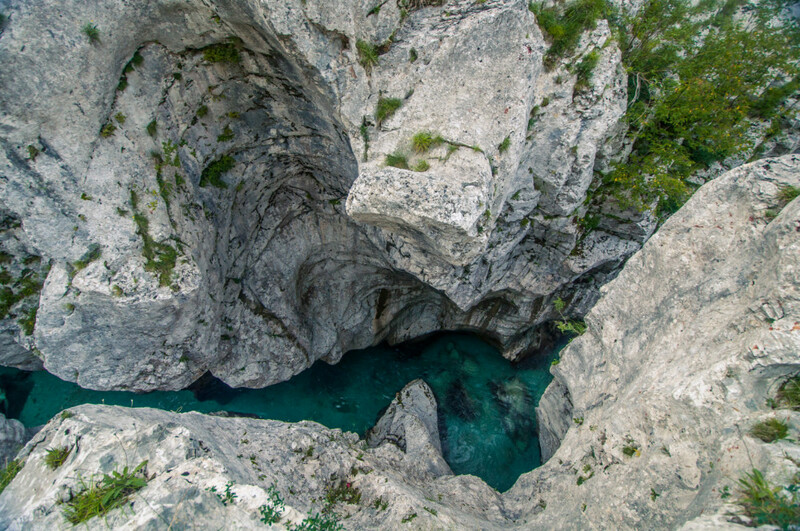 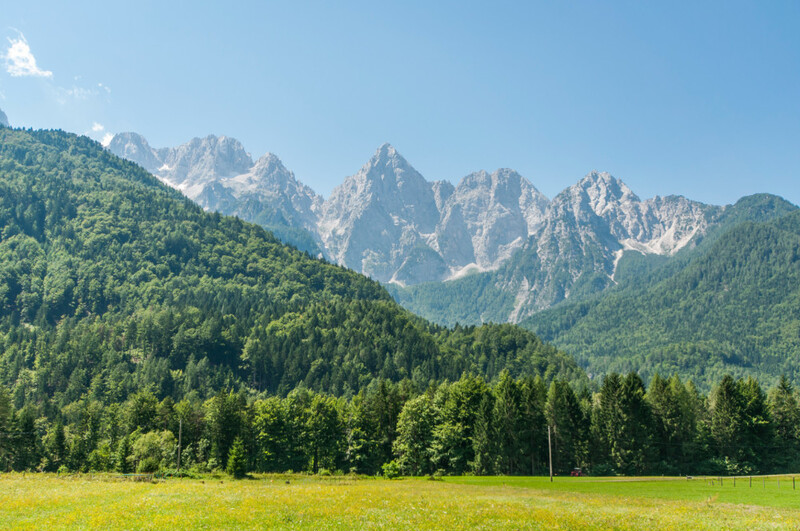 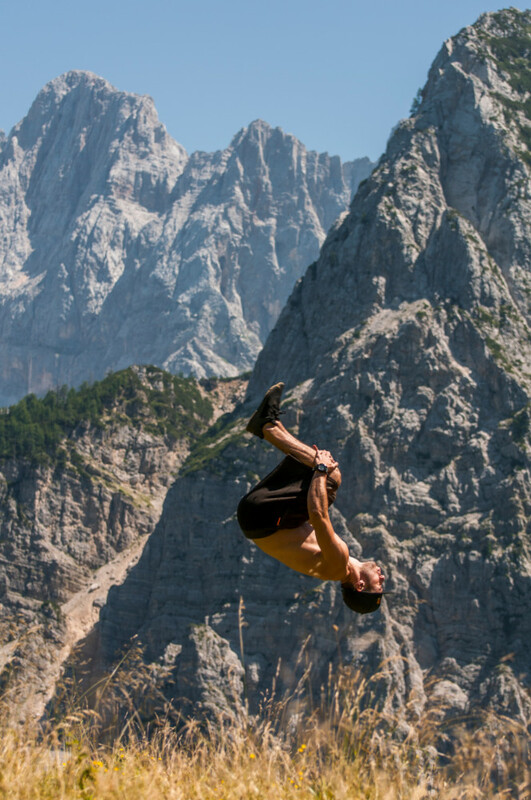 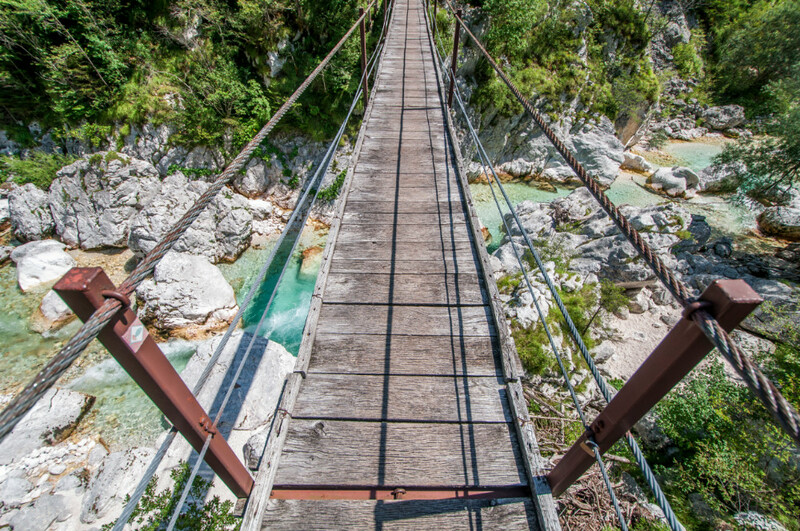 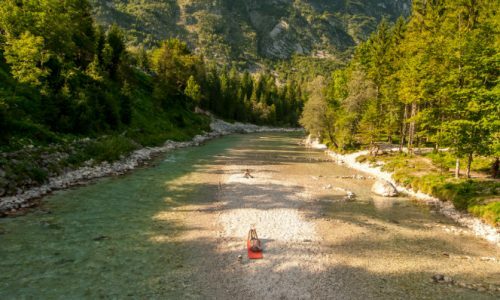 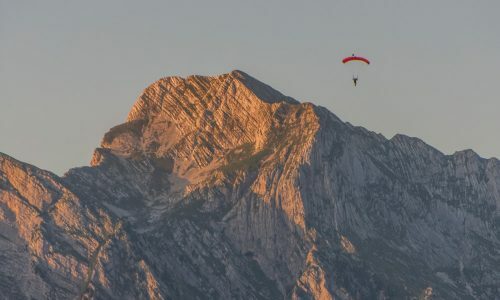 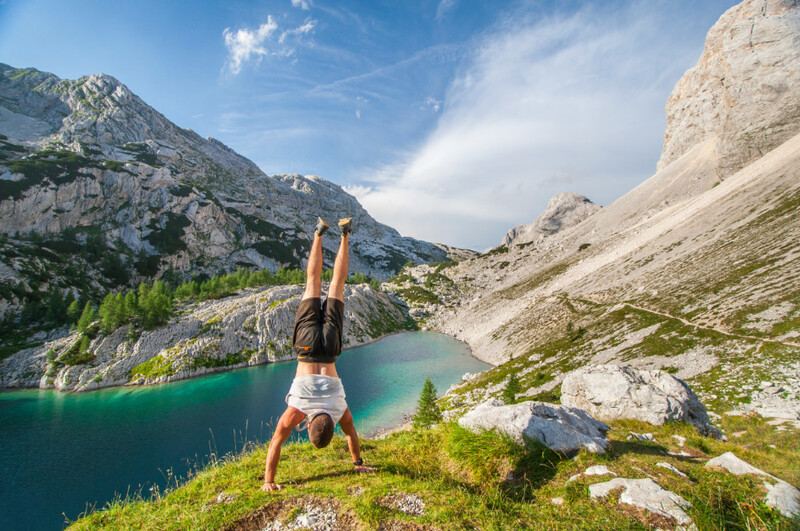 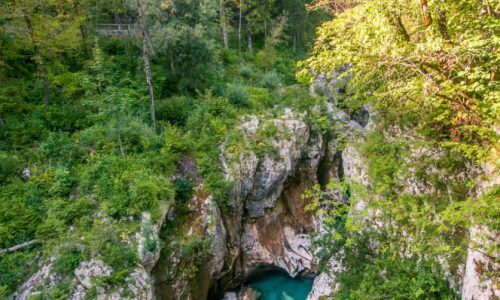 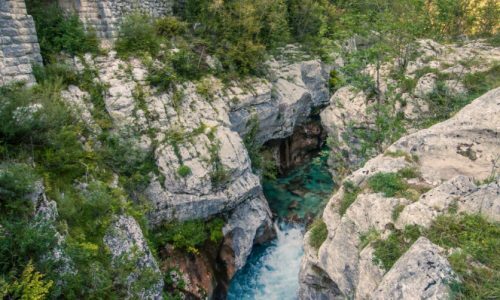 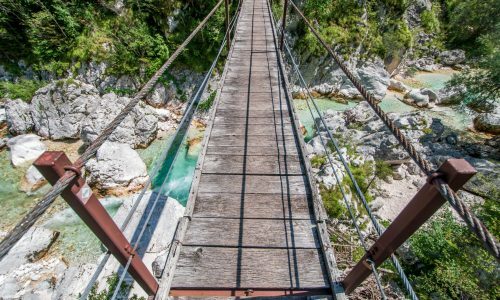 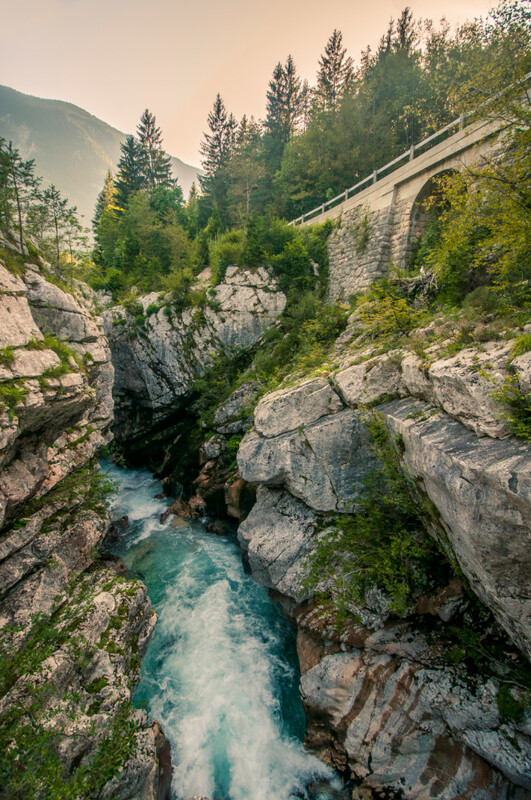 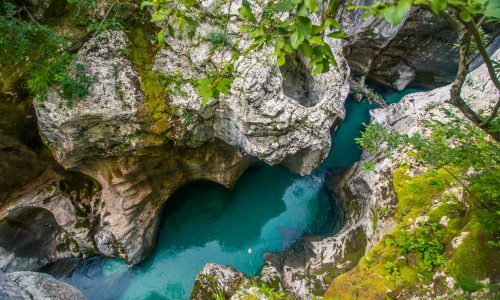 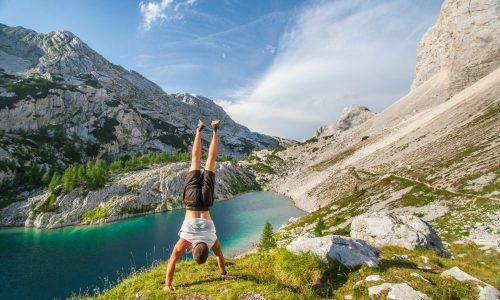 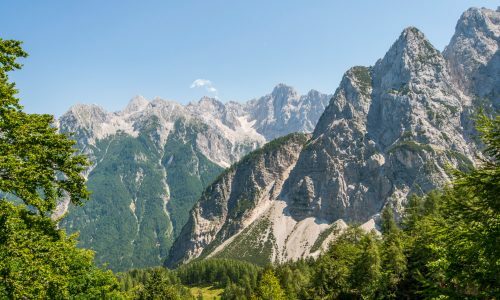 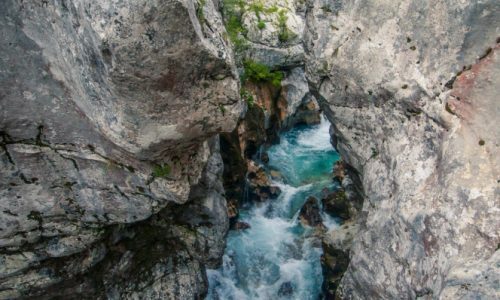 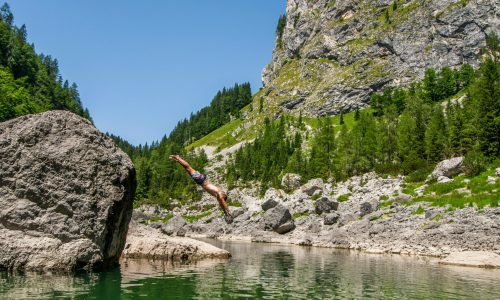 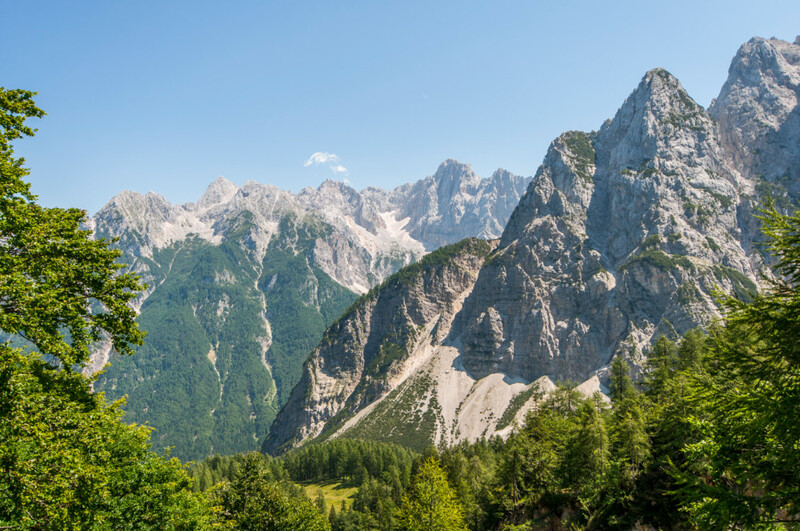 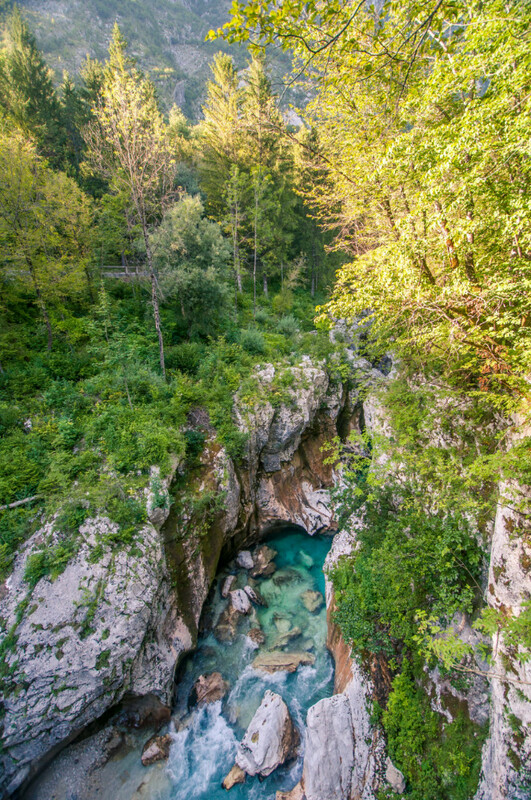 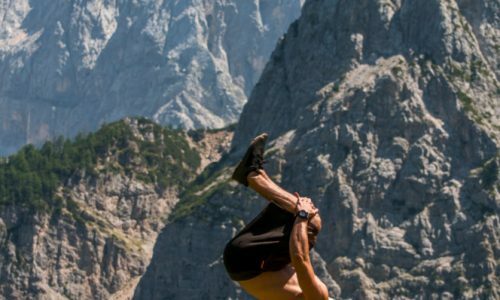 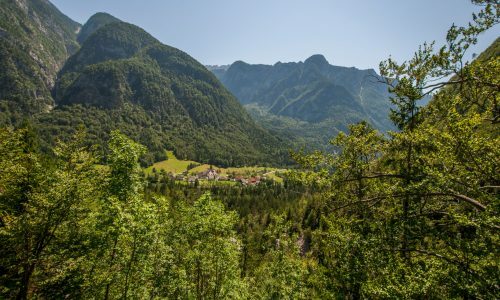 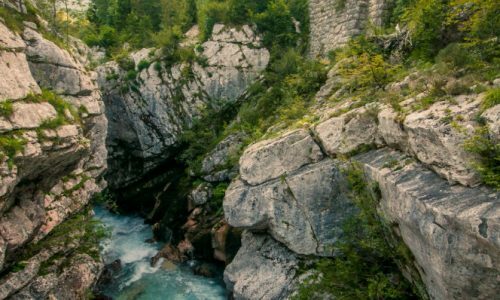 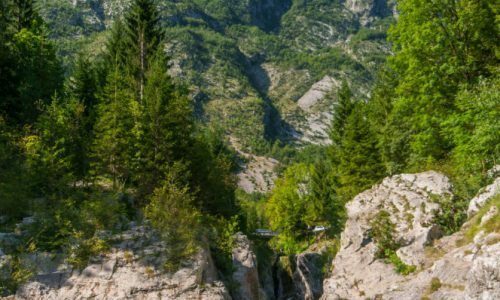 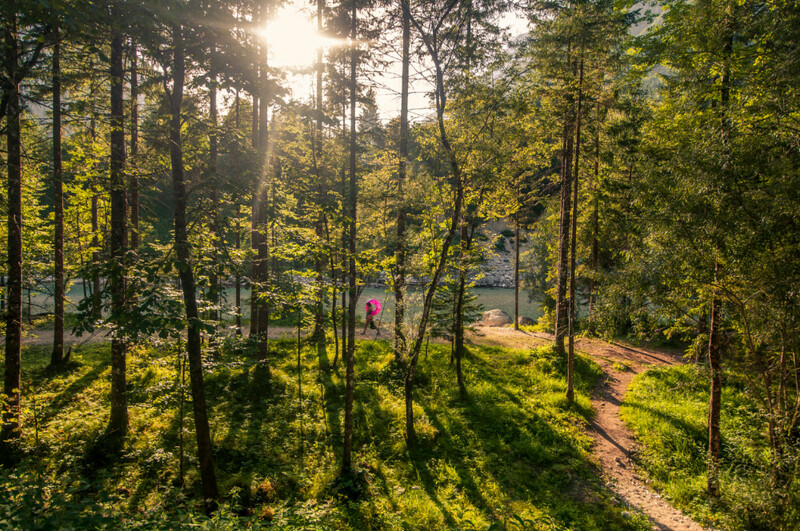 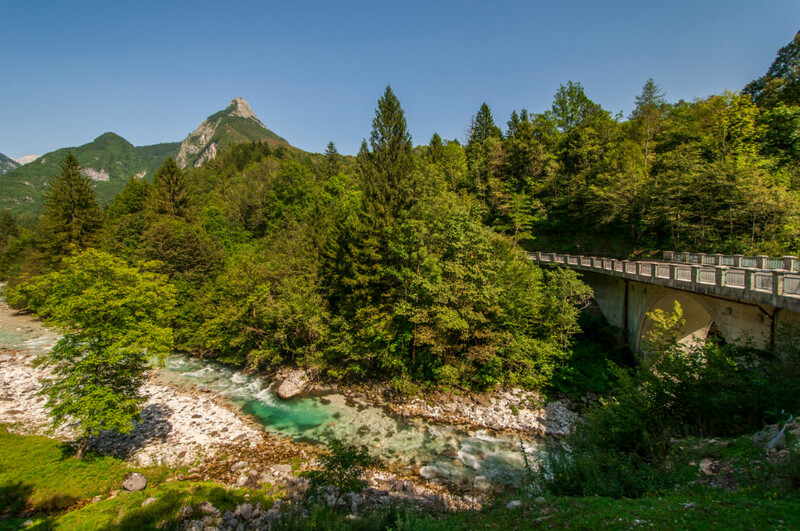 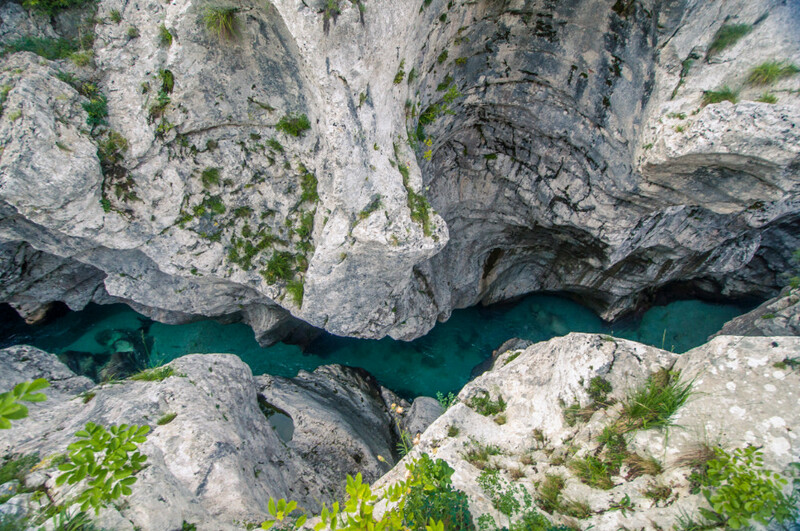 There probably are other spots to swim in the Soca River in Slovenia, but visiting Bovec also allows you to try many outdoor activities such as skydiving, paragliding, hiking, mountain biking, rafting and more. 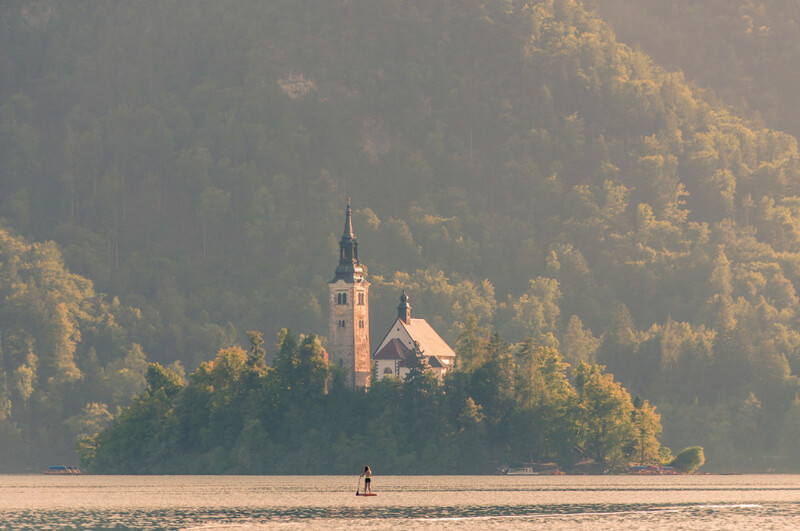 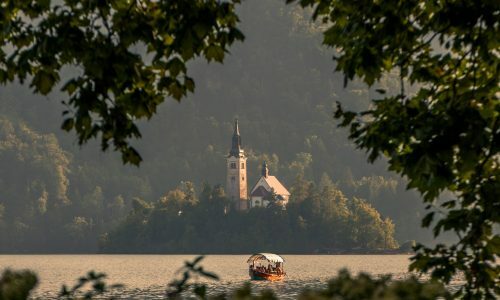 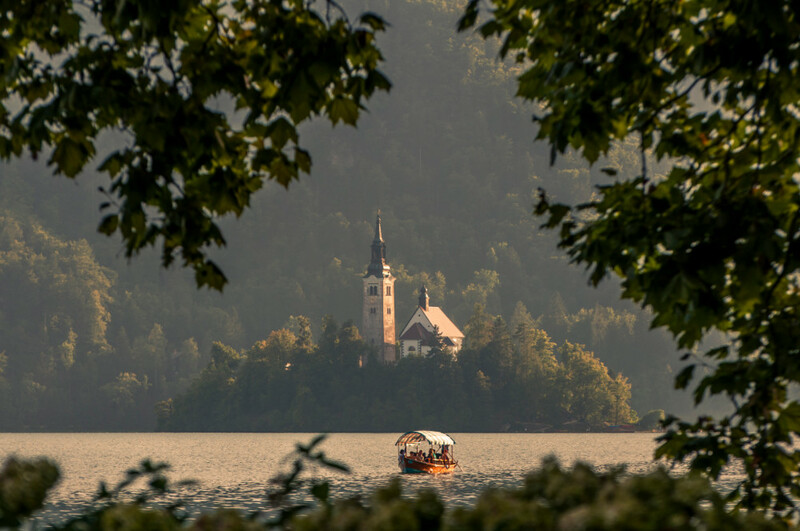 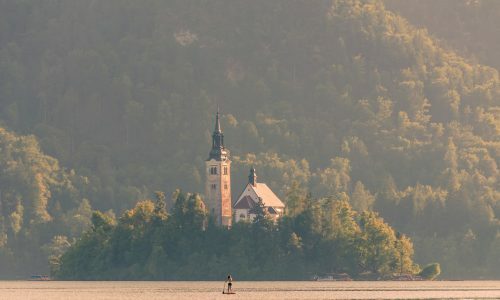 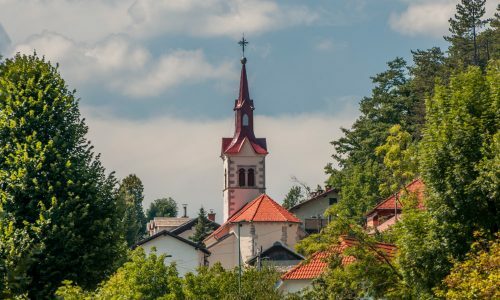 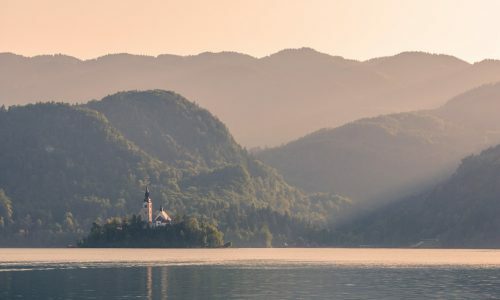 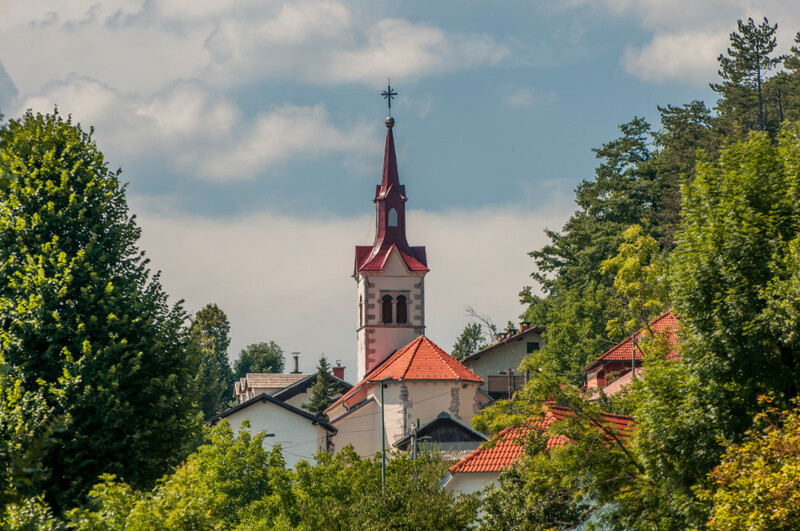 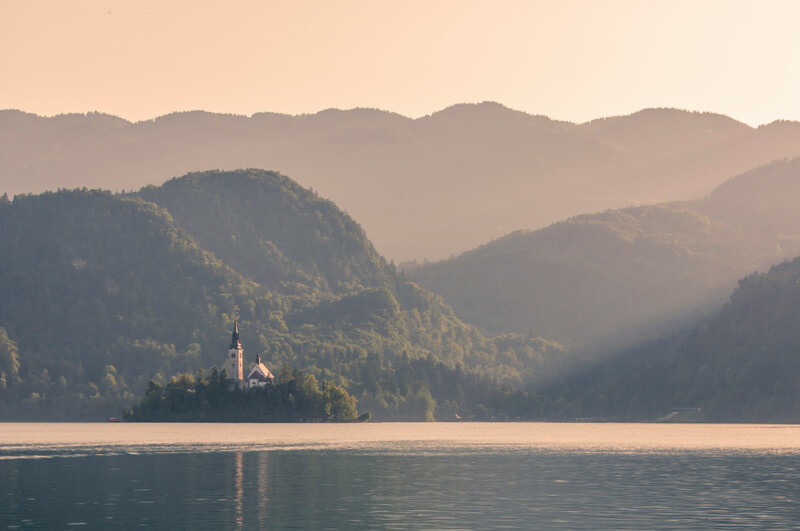 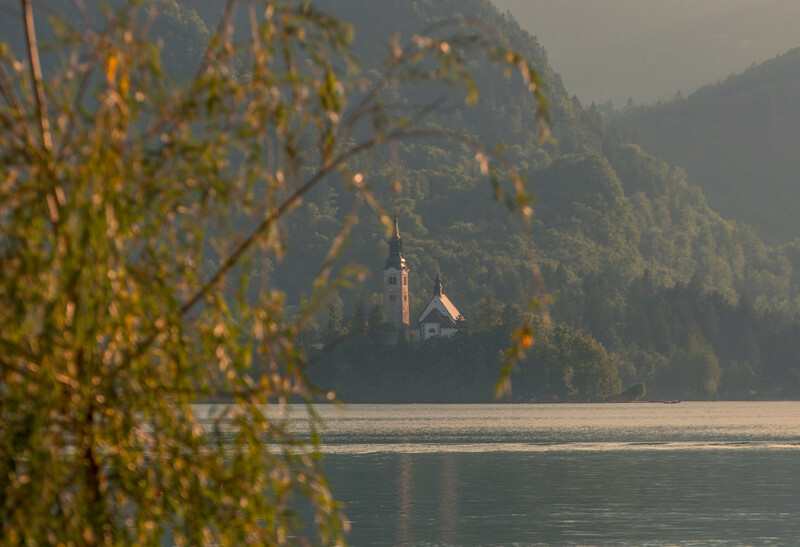 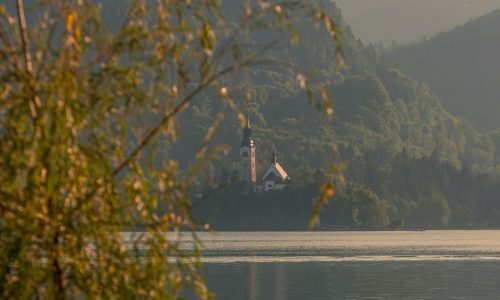 If you’ve ever looked up Slovenia online, you’ve probably already seen pictures of Lake Bled and it’s famous church. 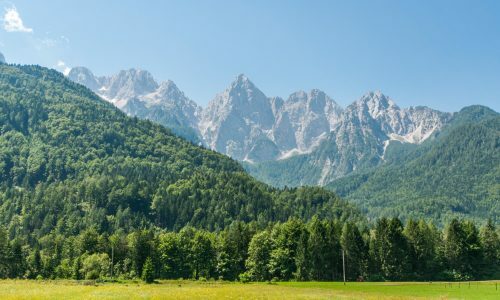 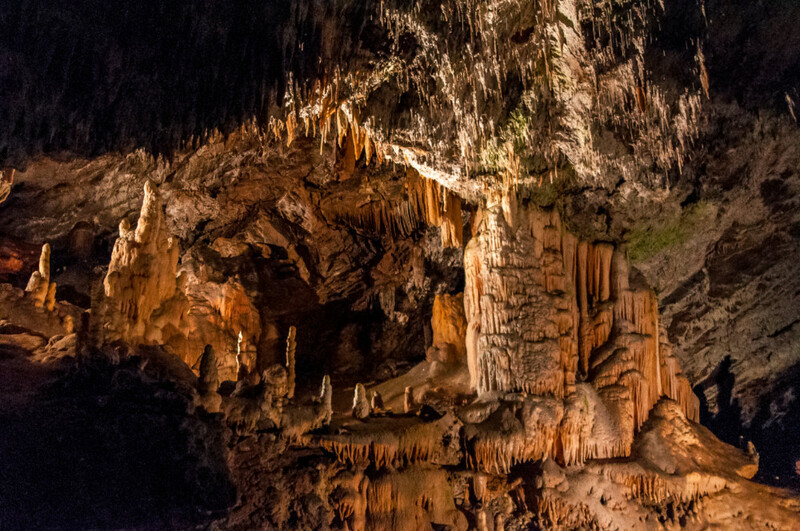 It is Slovenia’s most popular destination and the scenery doesn’t disappoint. 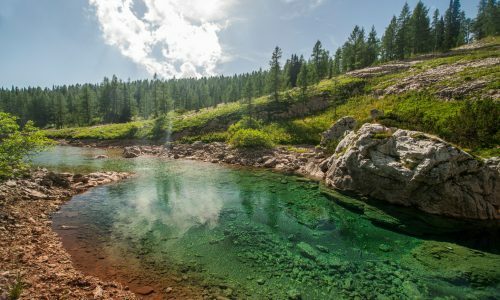 However, I strongly recommend exploring other areas nearby as you will find much quieter spots to swim and do all sorts of activities. 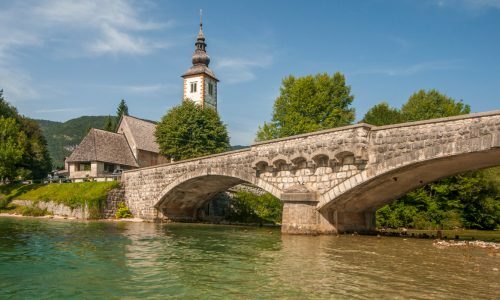 For example, if you wanna go for a swim, I would recommend driving to Lake Bohinj, a bigger, quieter and overall nicer lake located just a bit further down the road past Bled. Ljubljana is Slovenia’s capital city. 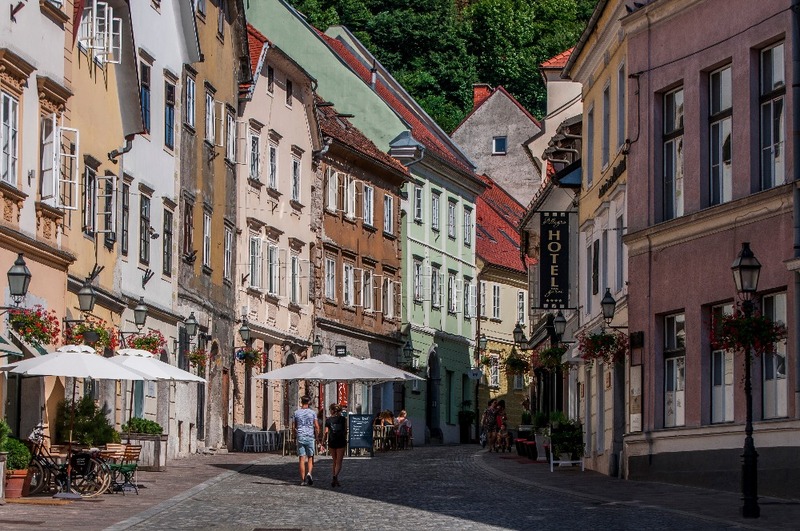 Don’t expect anything too exciting; it is rather quiet with very few tourist attractions. 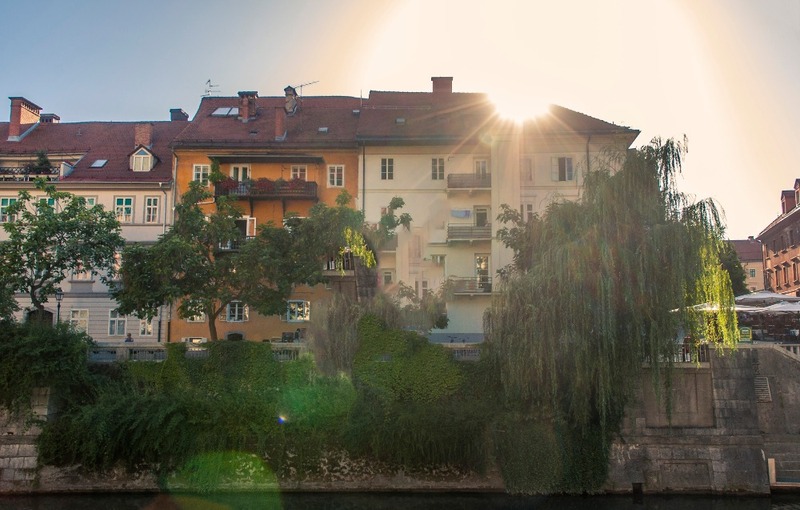 Aside from the castle overlooking the city and a cute central square, there really isn’t that much to do there. 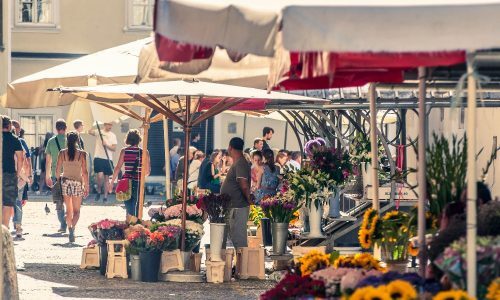 You’ll still find decent nightlife (especially during the school year) as well as great restaurants and markets. 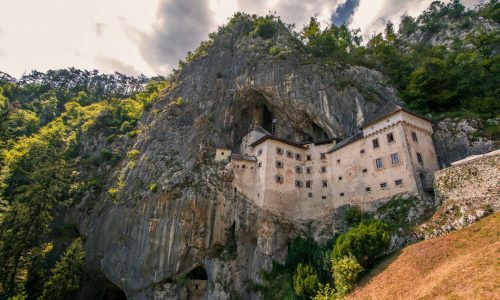 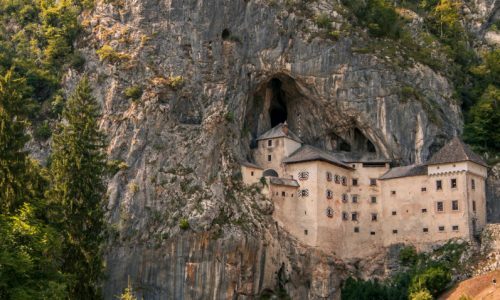 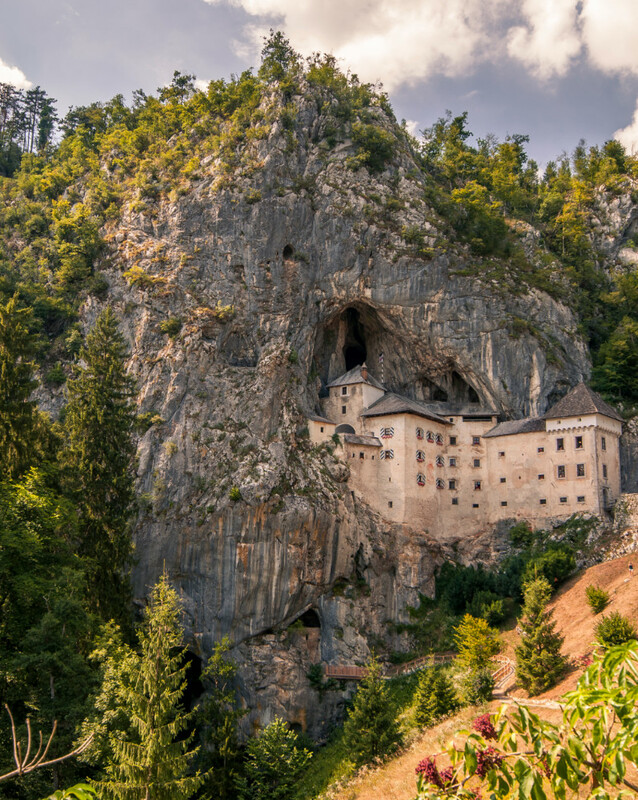 Postojna is only half an hour away from the capital city and despite being a huge tourist attraction, it really was a cool experience I’d recommend to anyone visiting Slovenia. 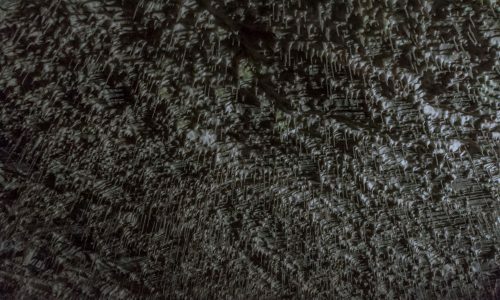 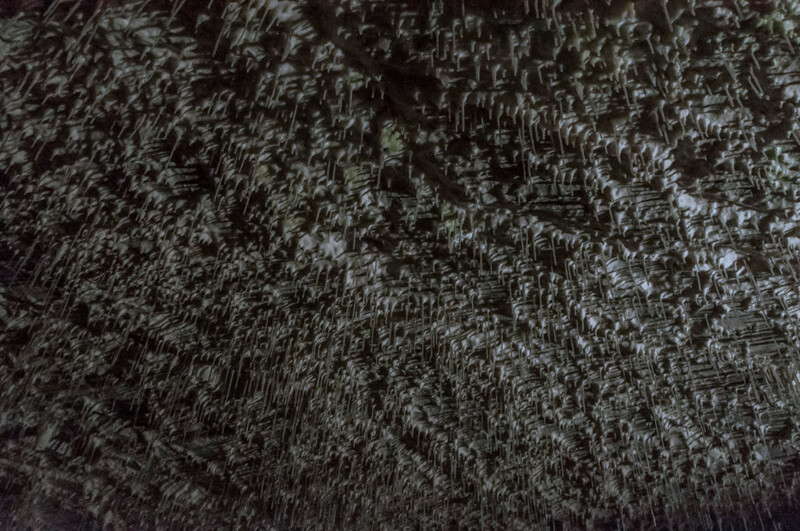 For roughly 20 euros, a train will take you inside a massive cave system that goes on for miles and miles. 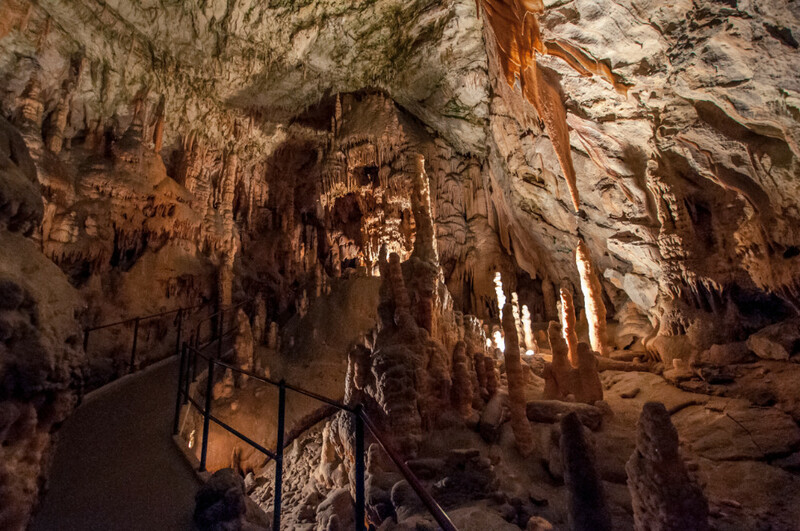 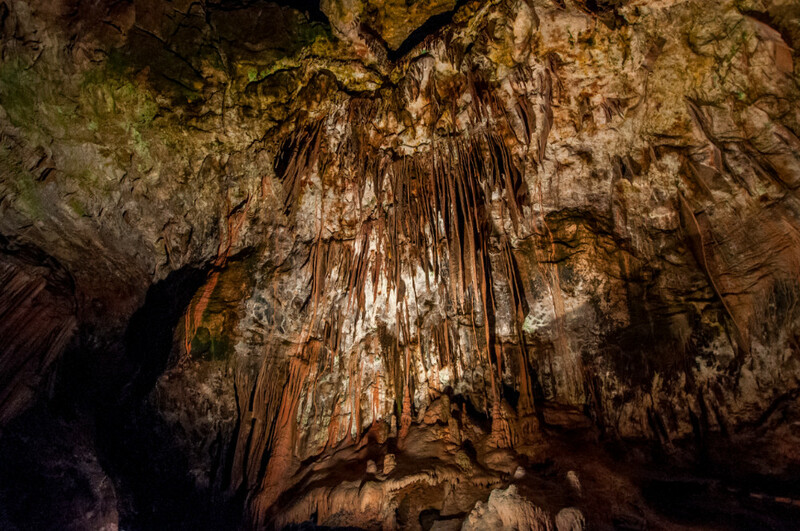 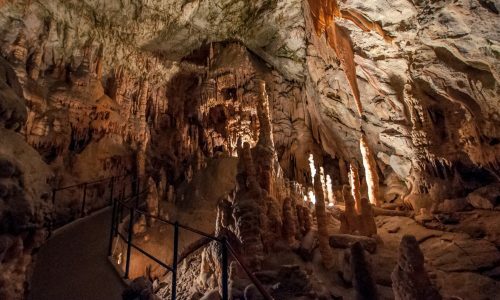 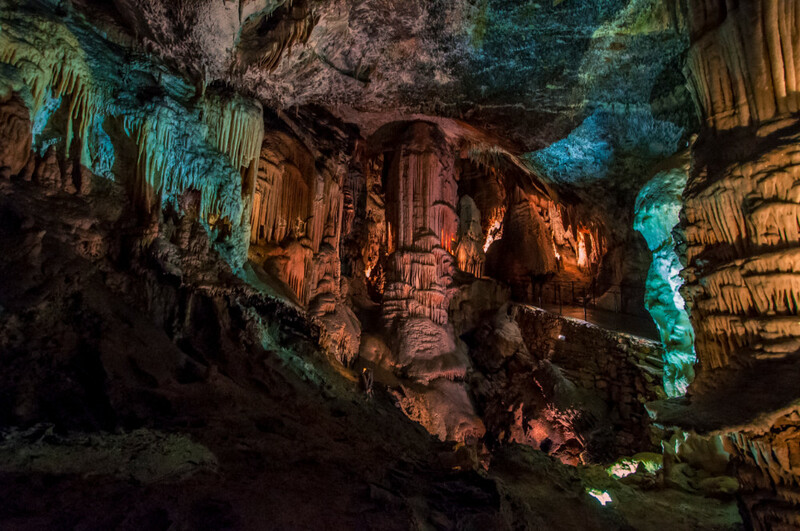 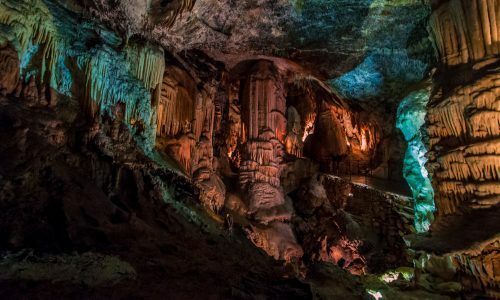 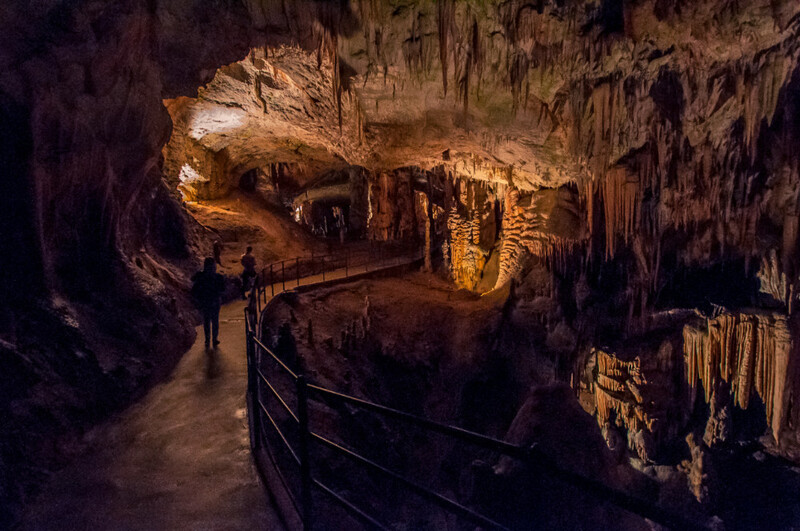 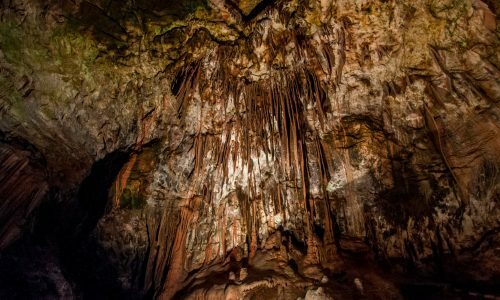 You’ll then walk a couple of kilometers inside the caves with a guide who will tell you some interesting facts about the area. 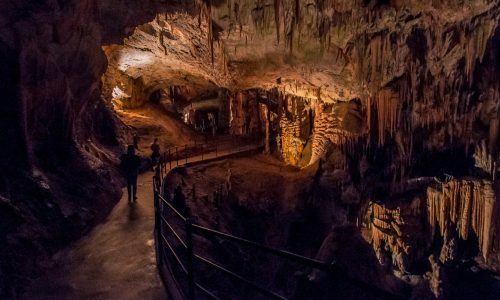 Don’t forget to bring a jacket as it is freezing inside and you’ll spend a good couple of hours there. 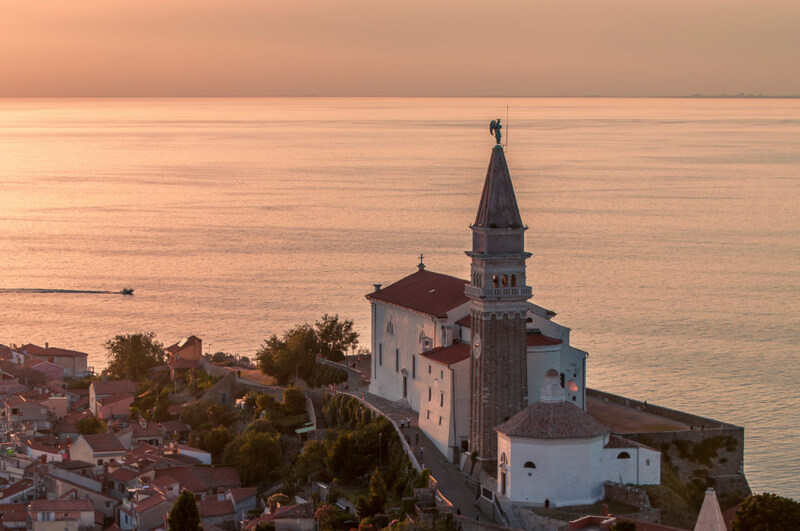 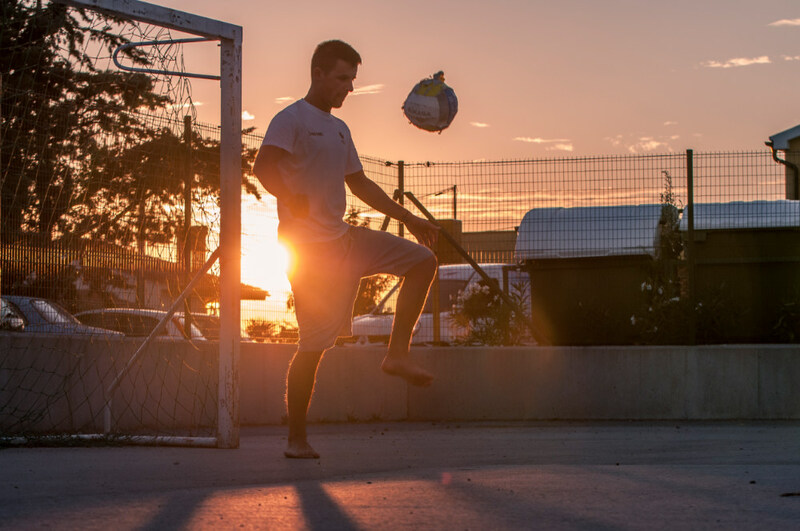 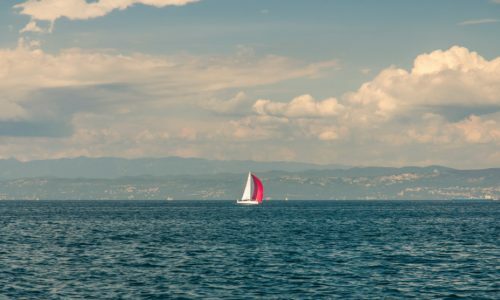 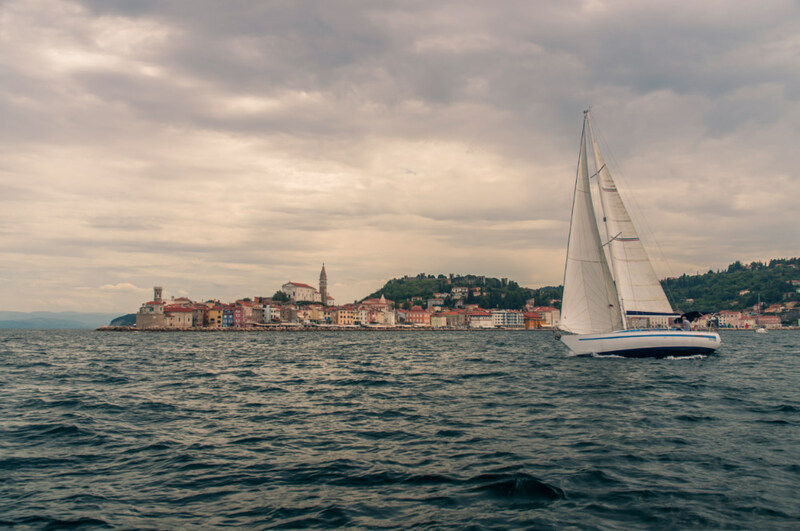 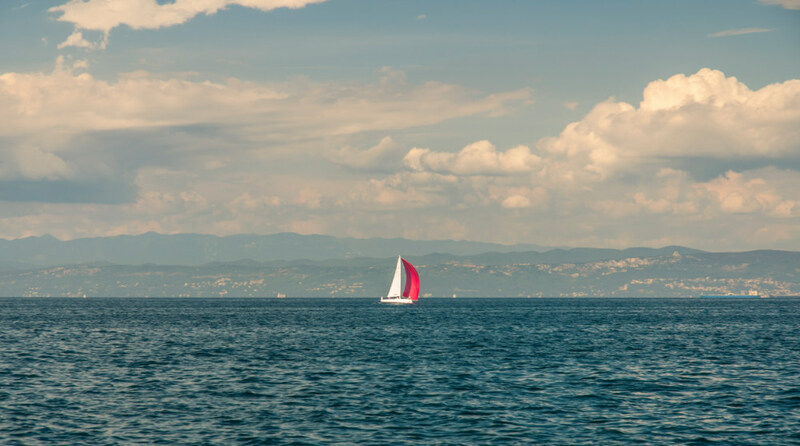 Koper is the main port of Slovenia and is the starting point to whoever wants to drive along the coast to the other cities located by the sea. 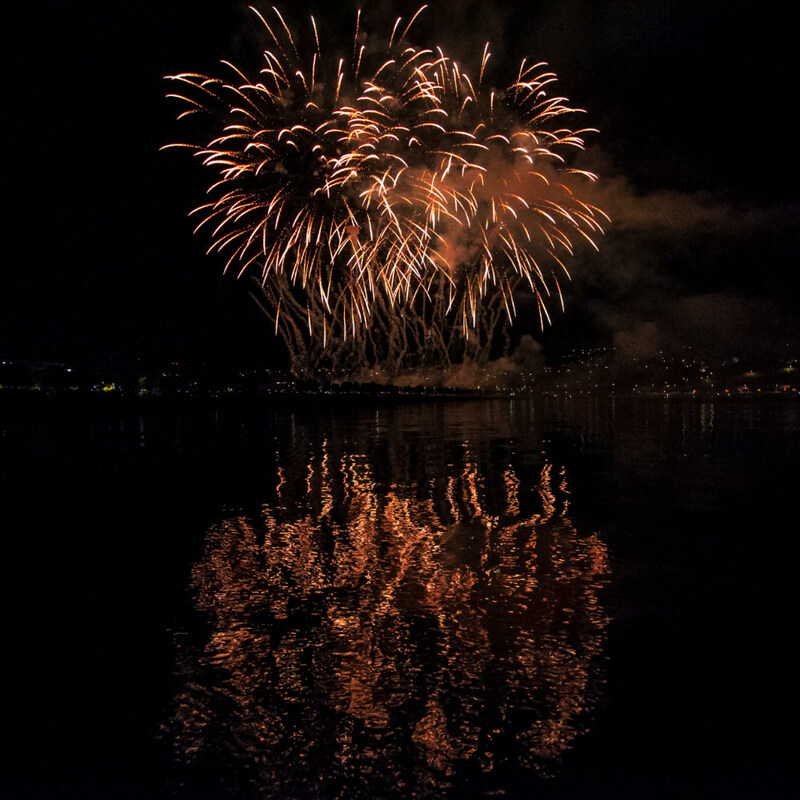 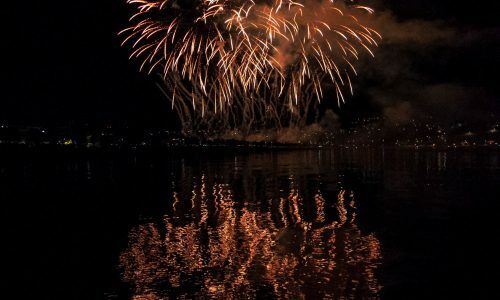 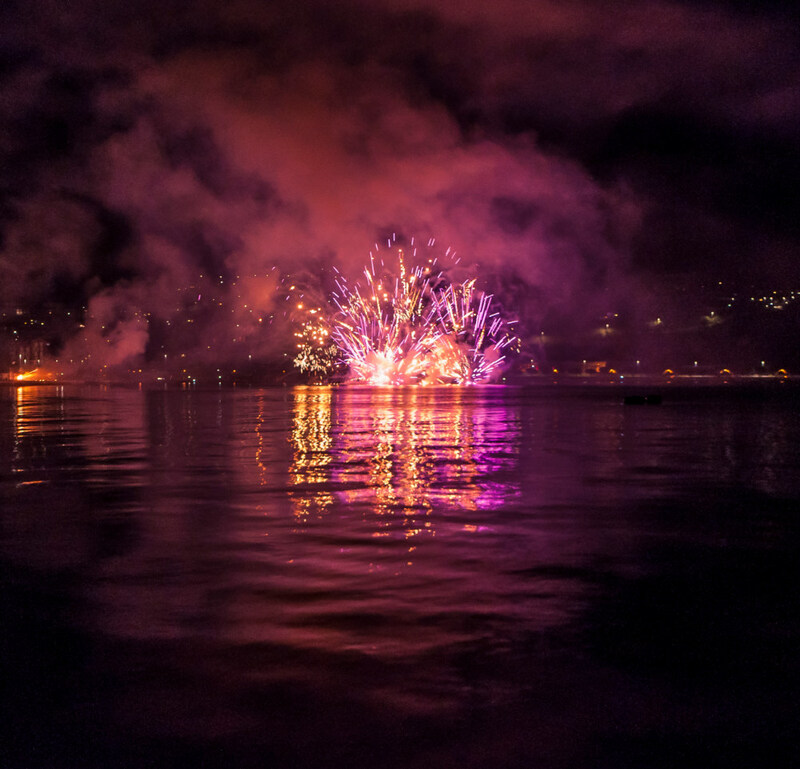 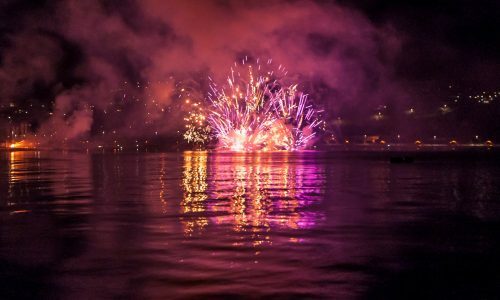 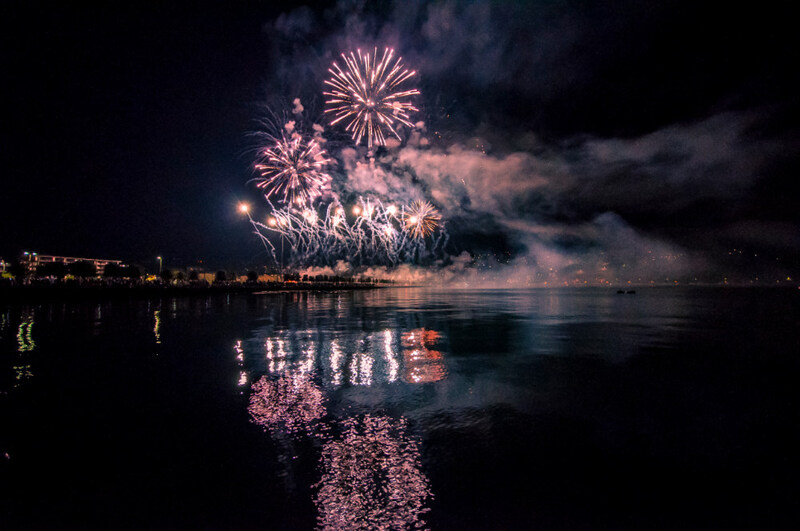 We happened to visit the city during a cool festival in the middle of the summer and had a great time tasting local food and watching fireworks to the sound of bands playing live on stages by the water. 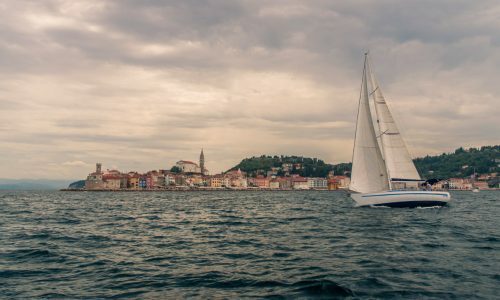 If you want to rent a boat for a day, this is the place to do so, and while the scenery may not be as iconic as it is on the Croatian coast, it’ll be a lot quieter on that side of the border.